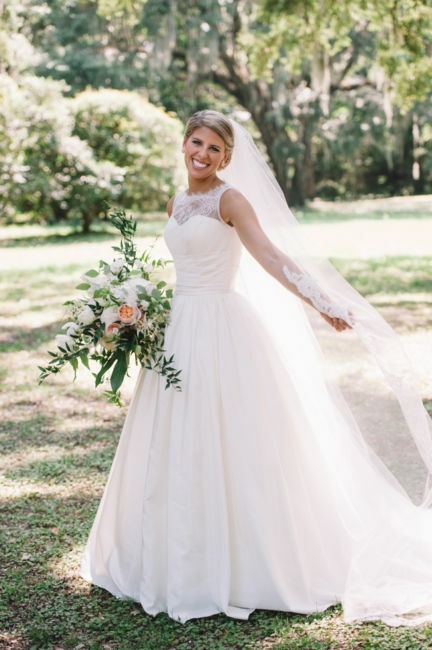 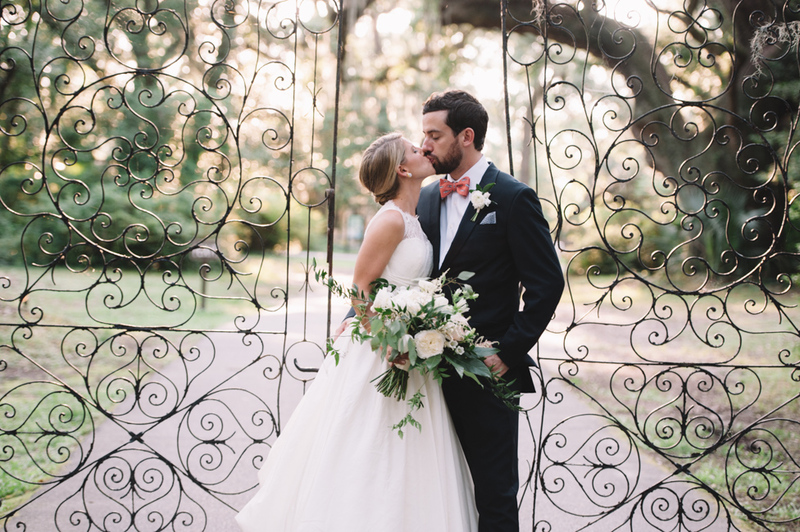 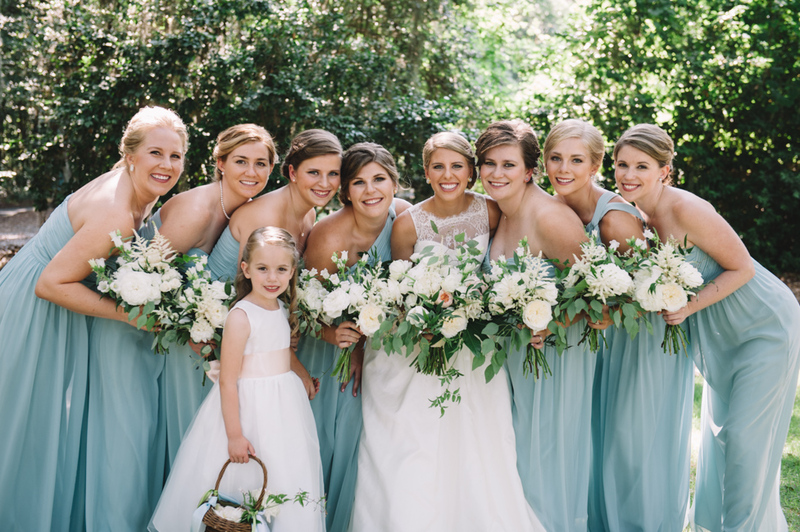 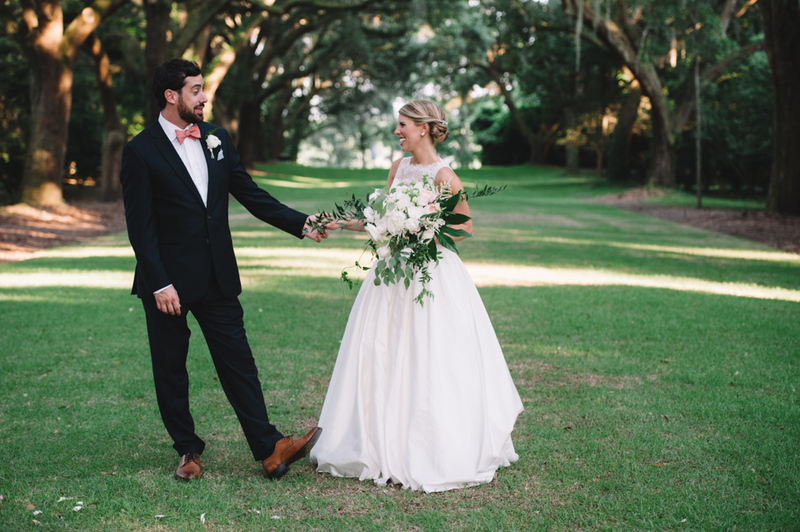 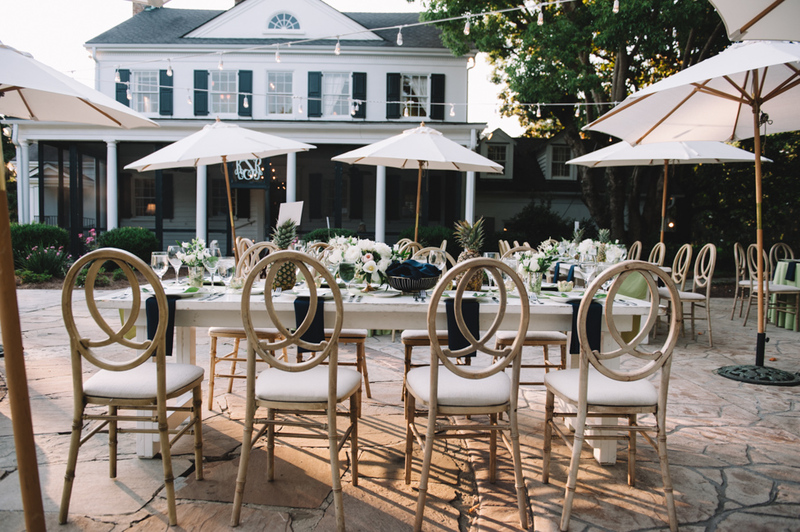 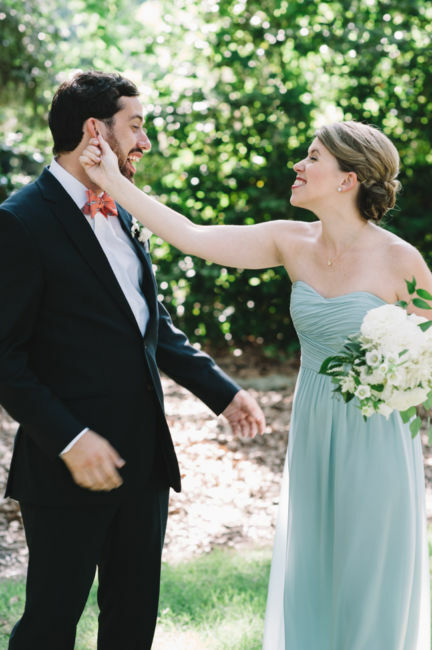 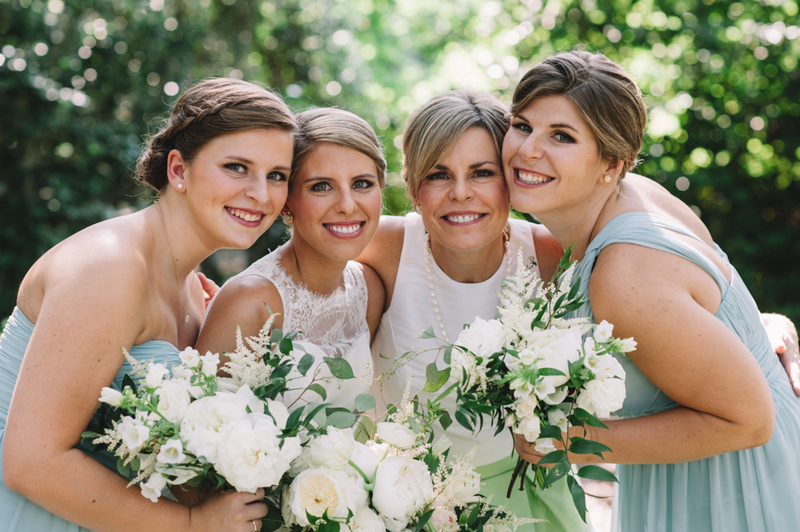 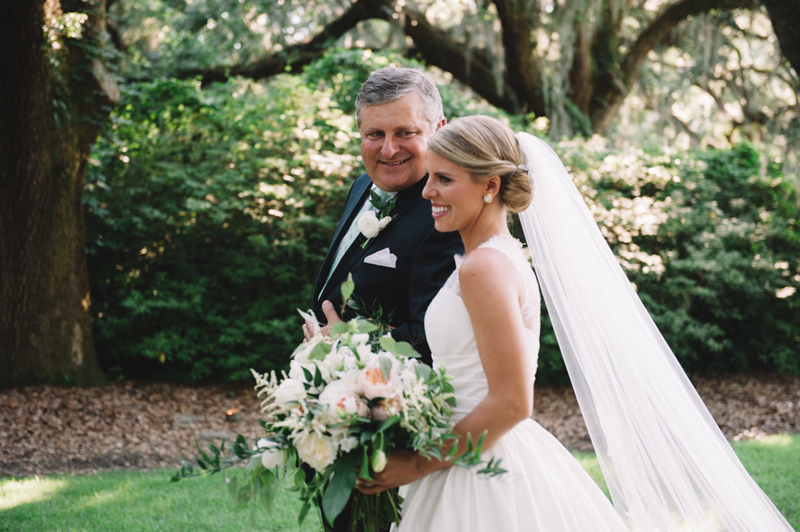 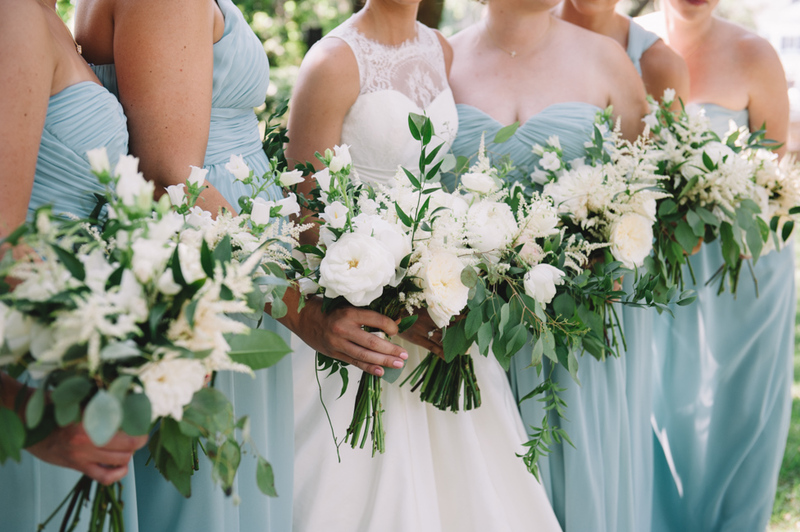 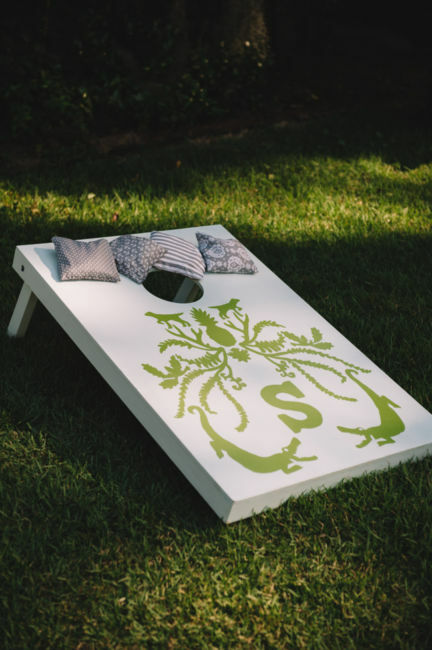 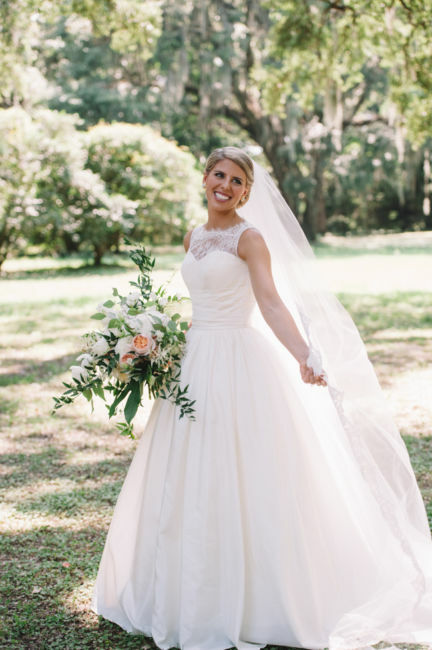 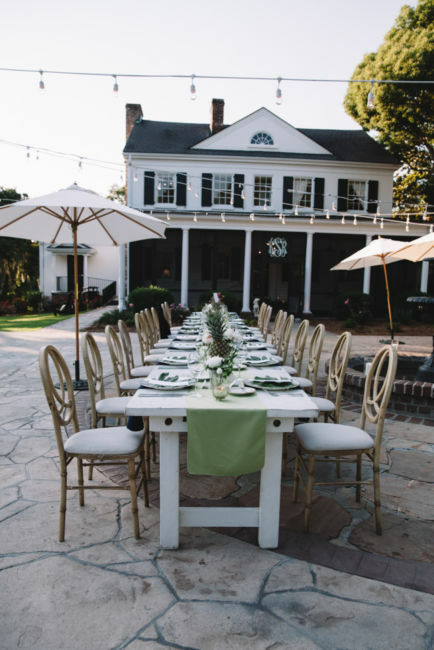 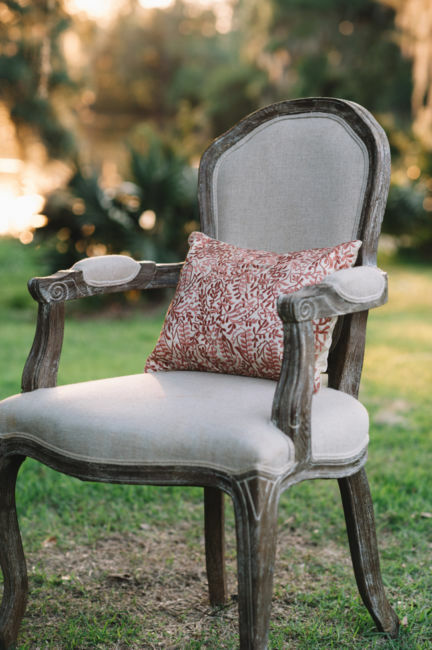 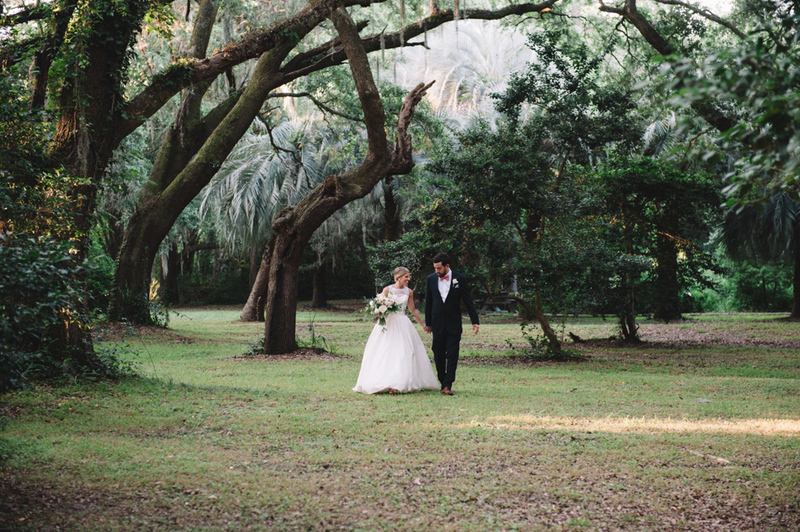 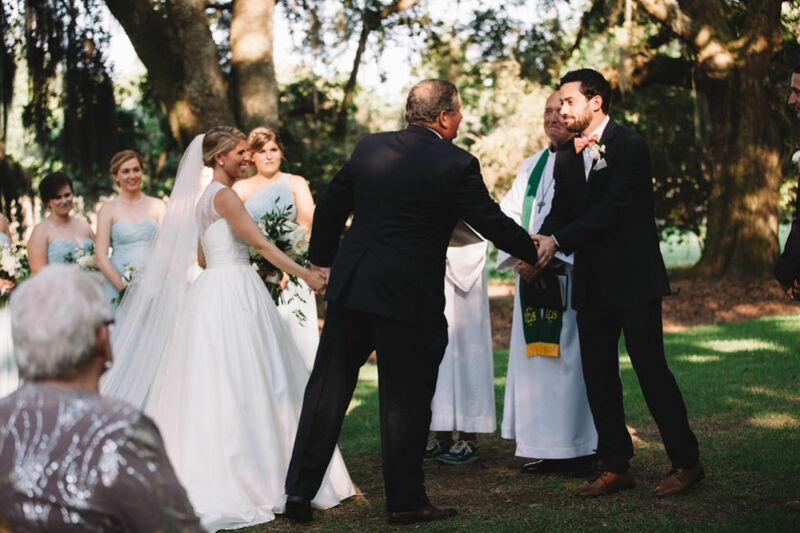 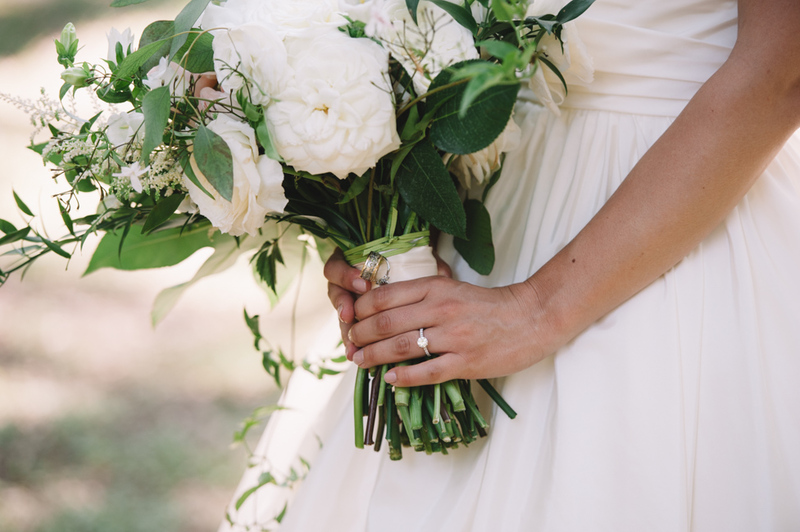 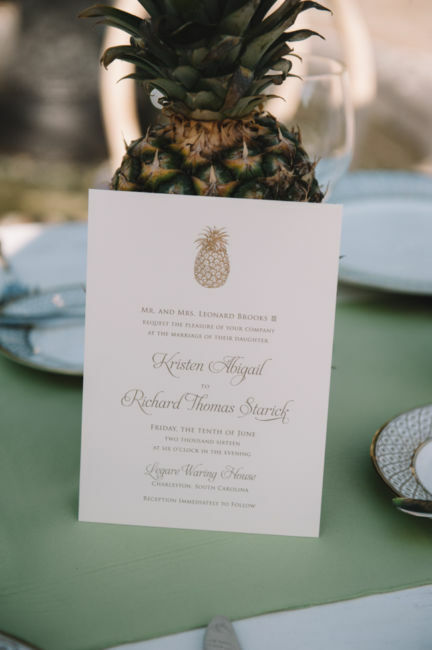 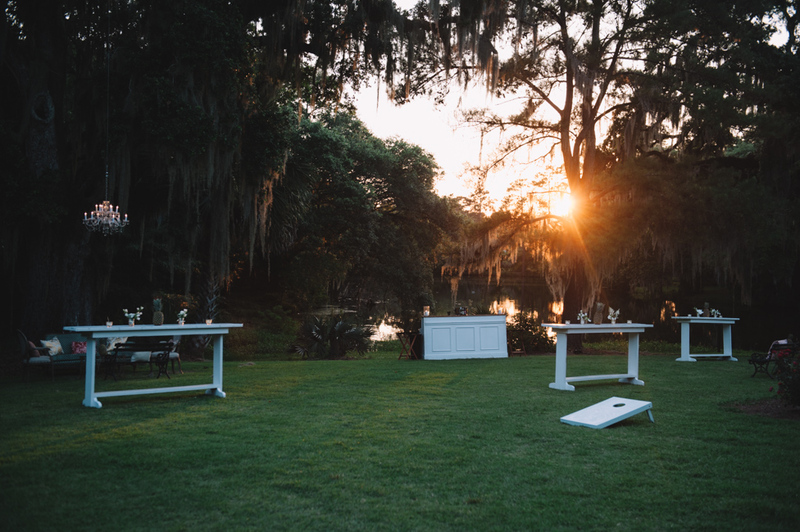 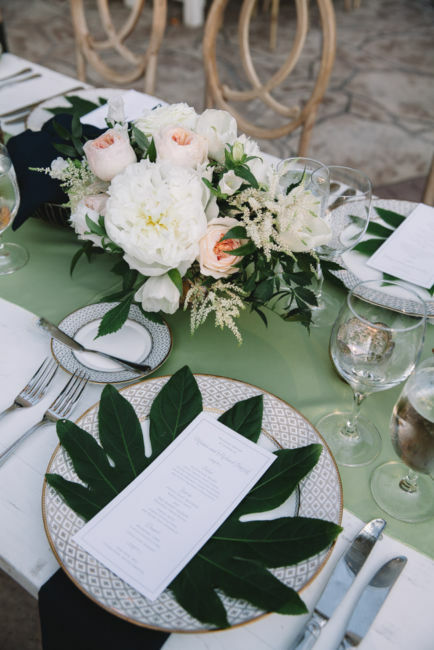 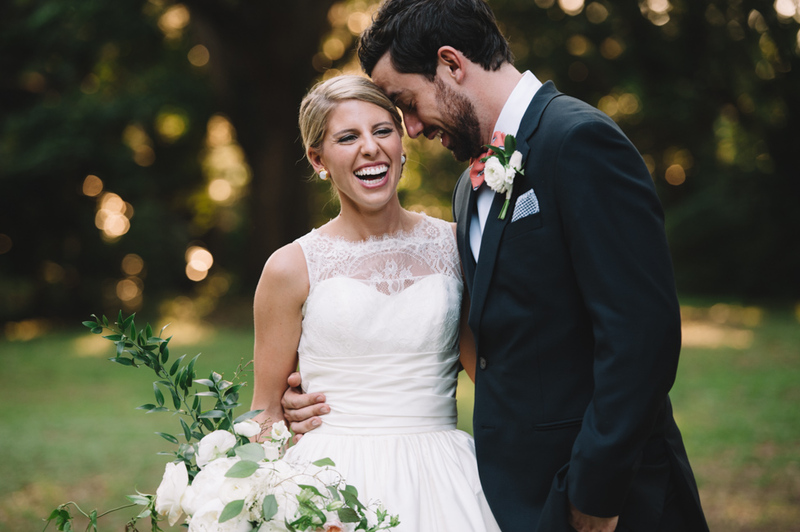 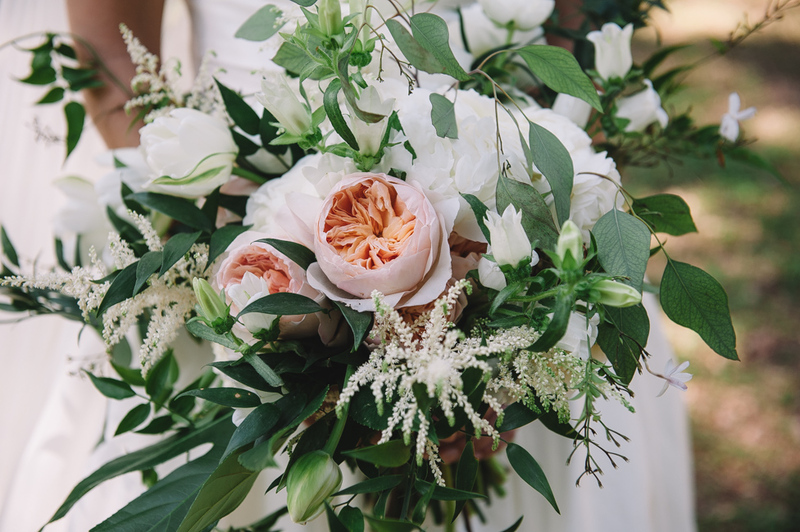 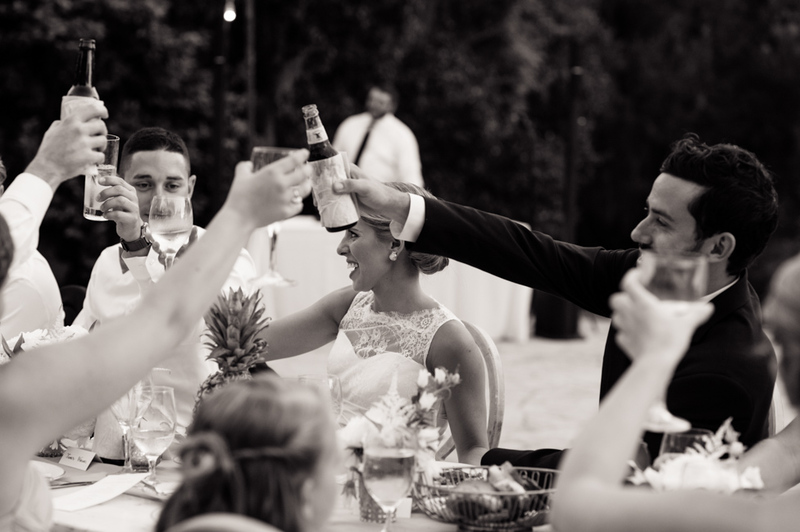 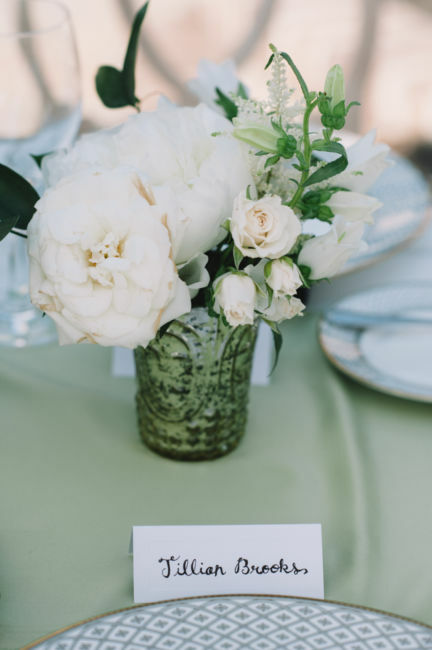 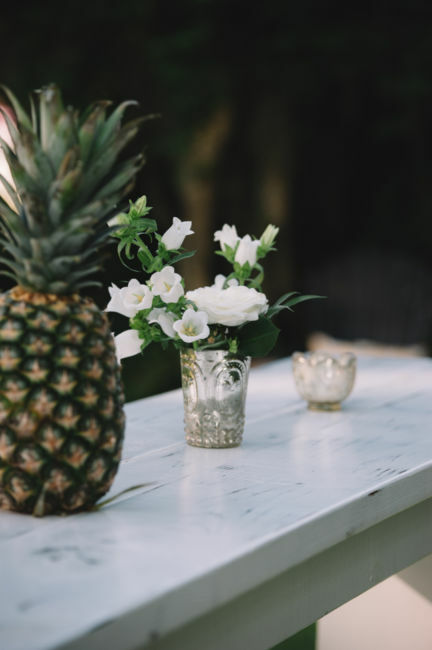 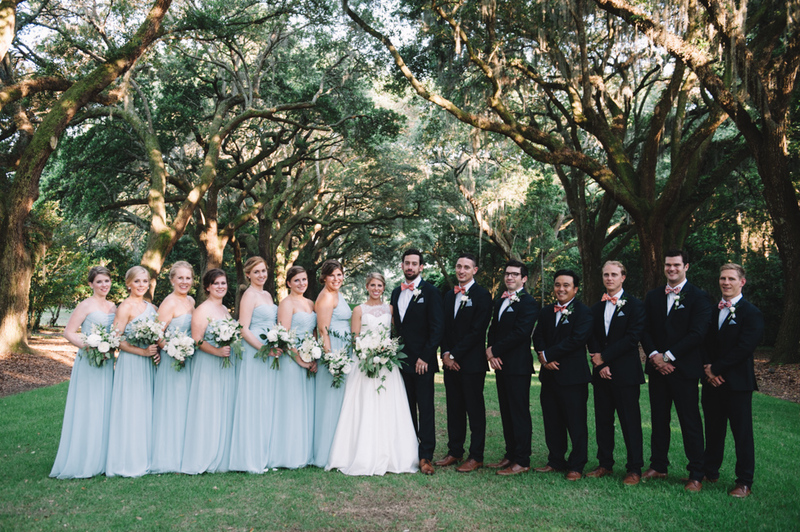 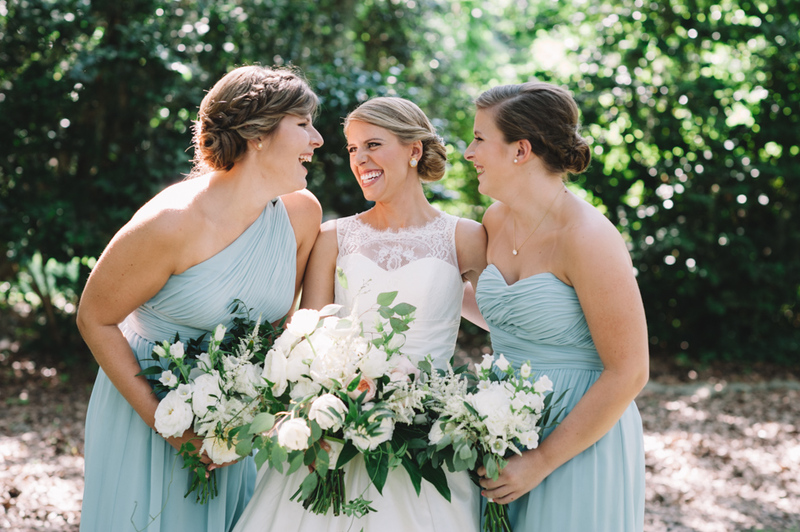 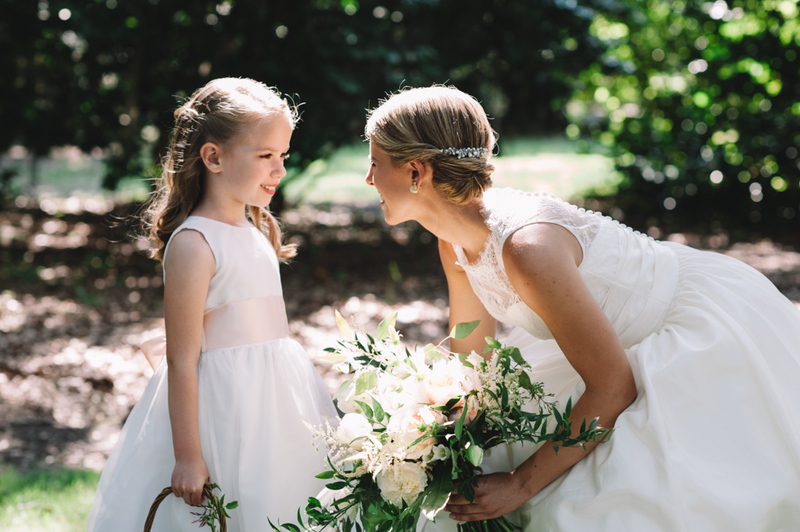 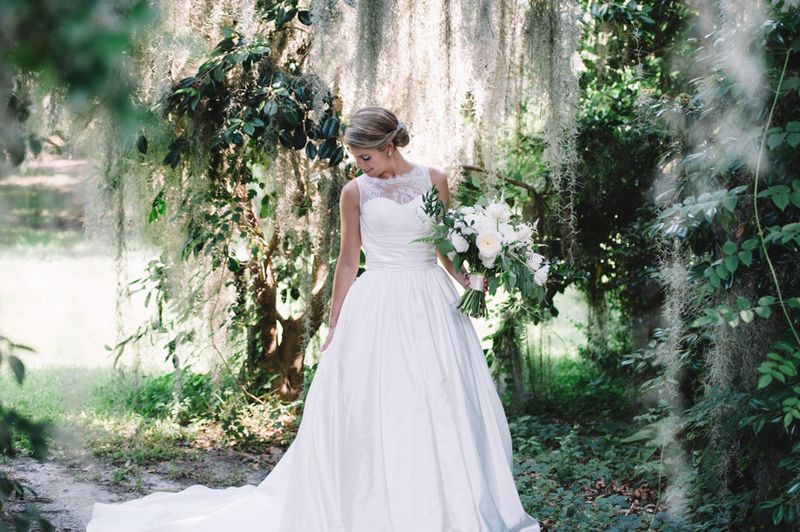 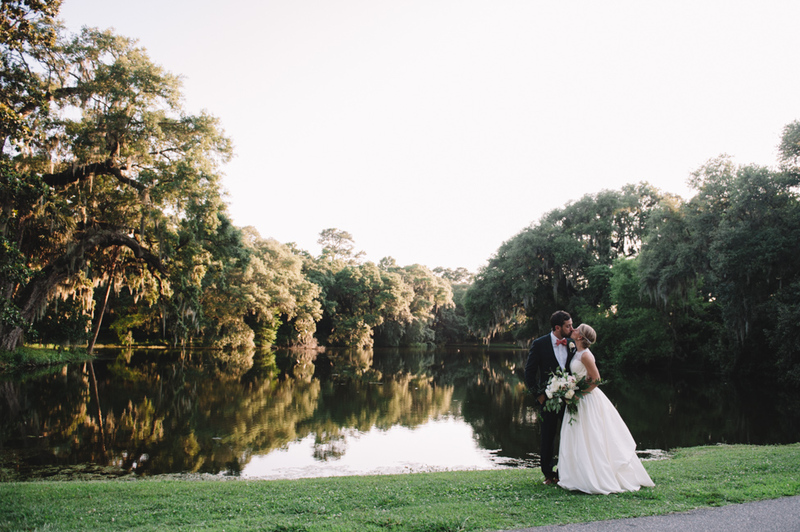 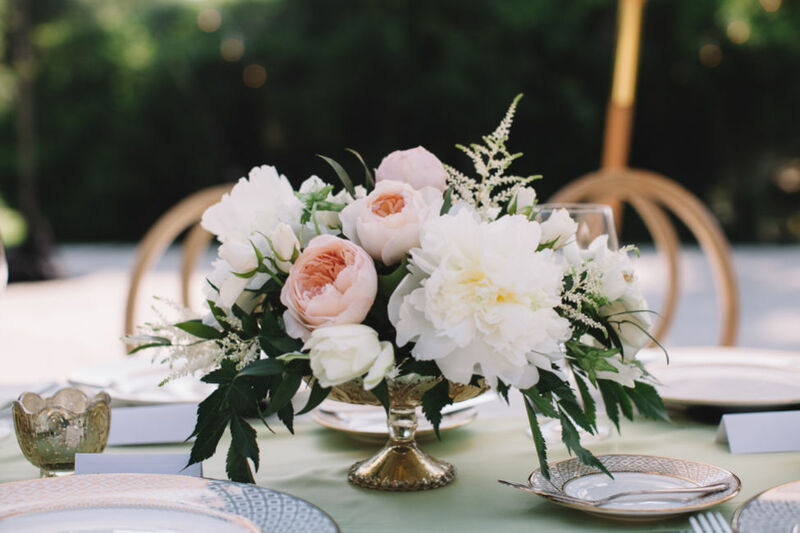 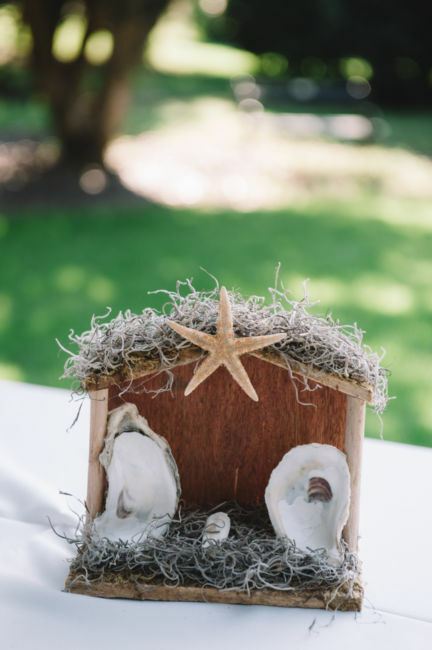 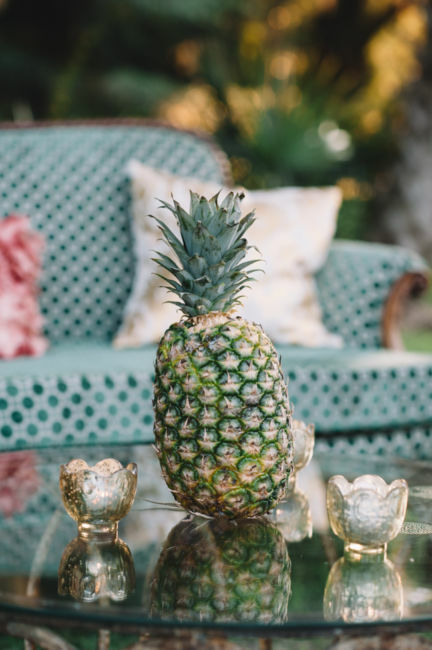 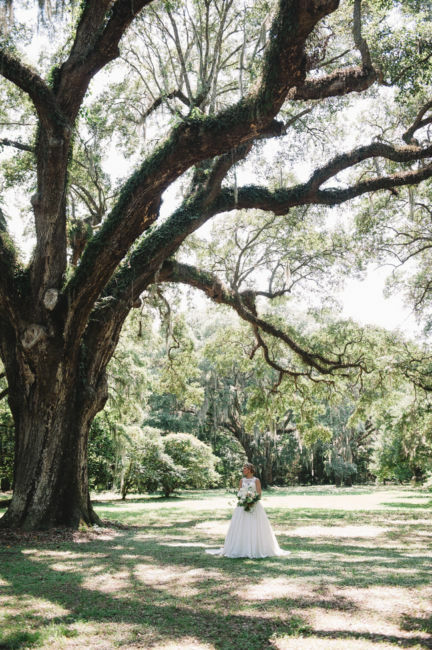 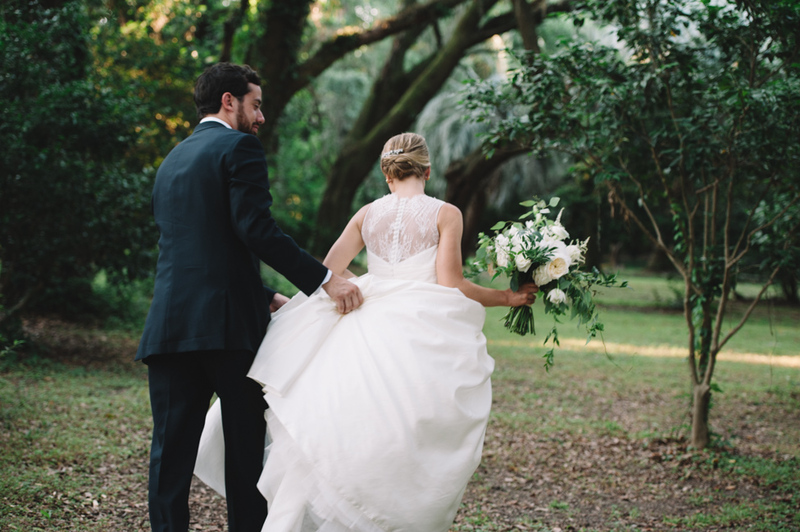 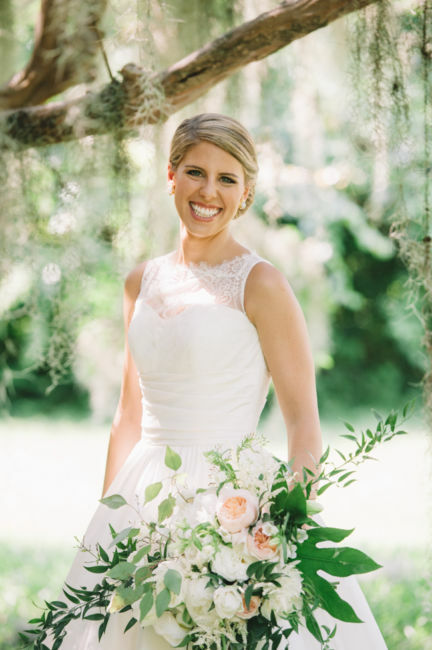 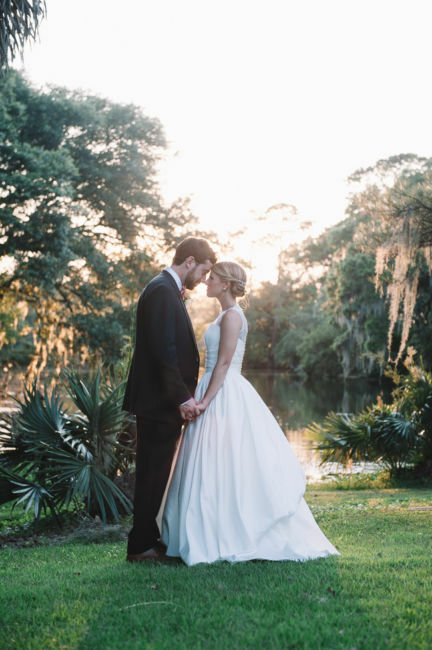 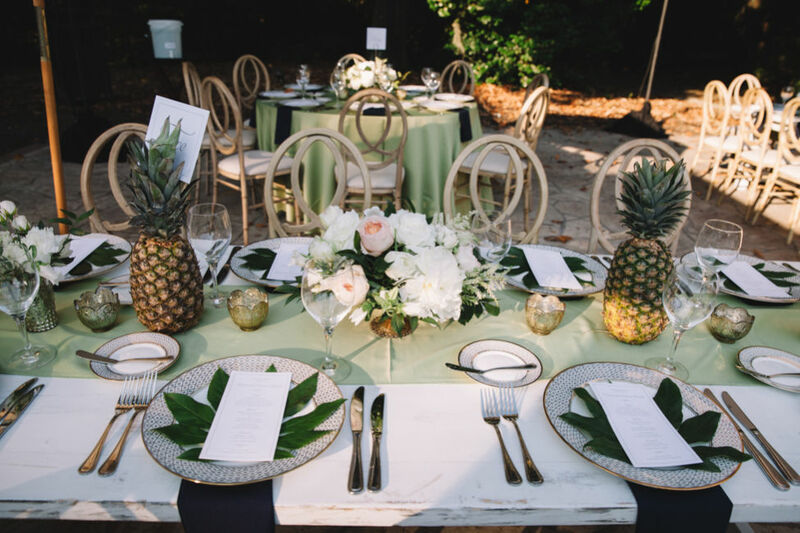 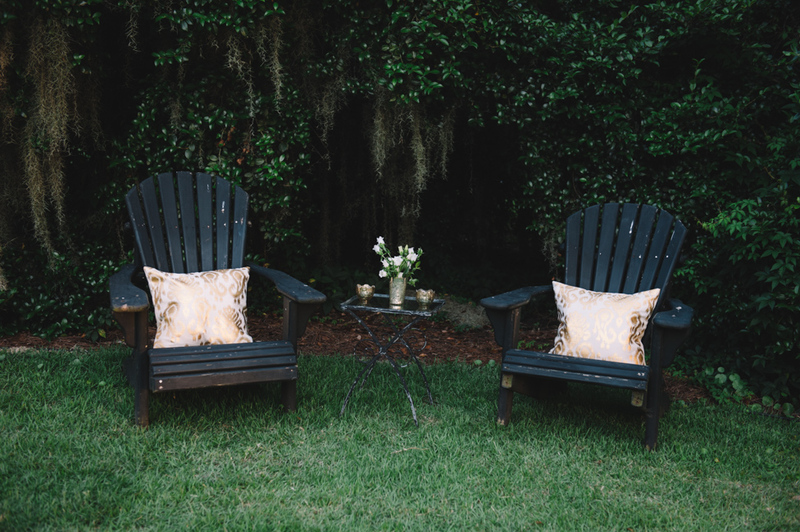 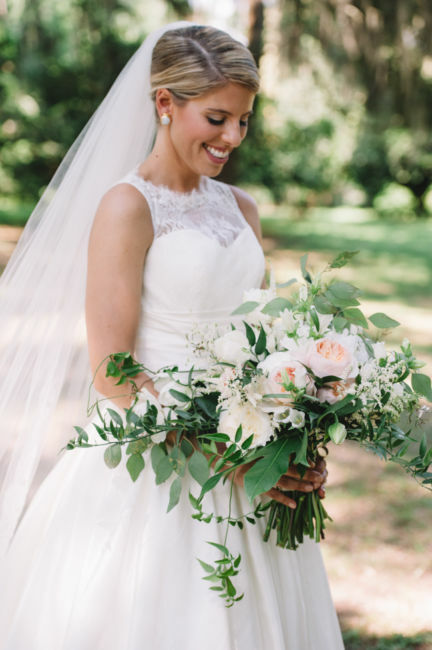 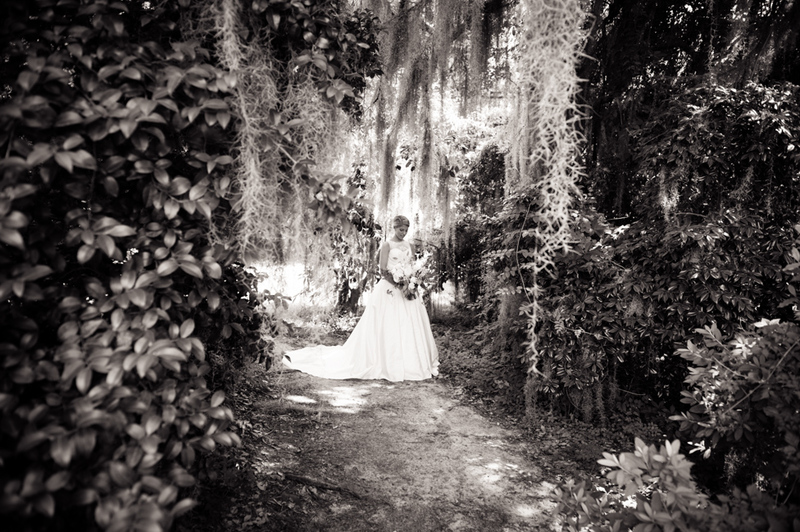 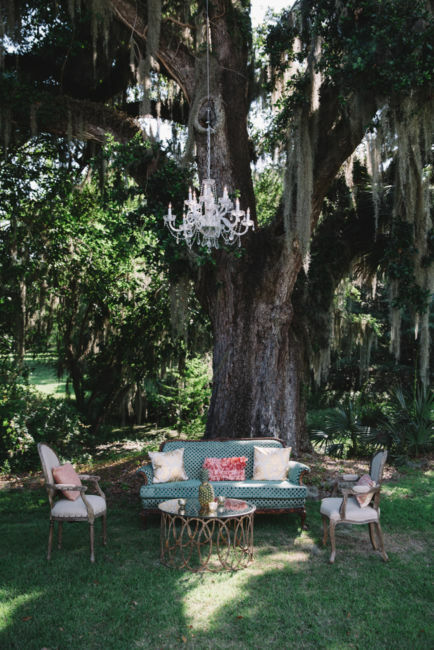 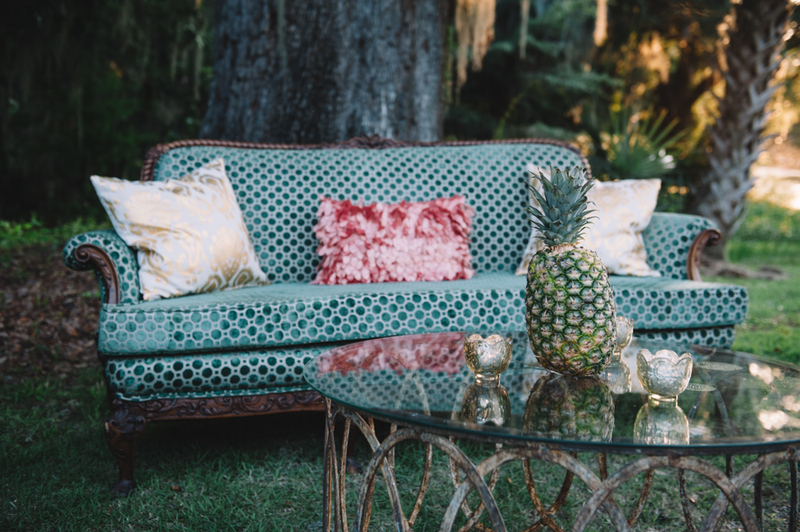 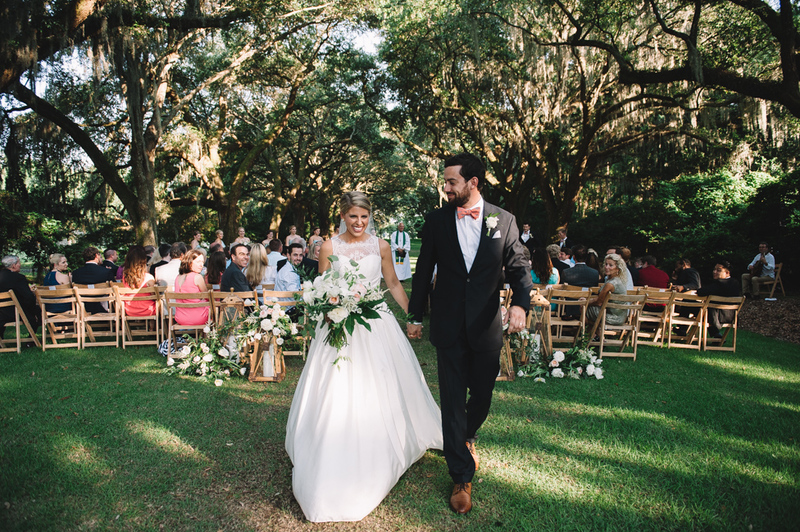 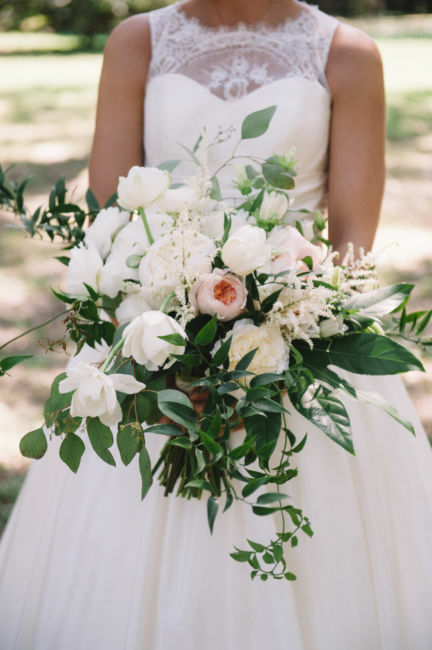 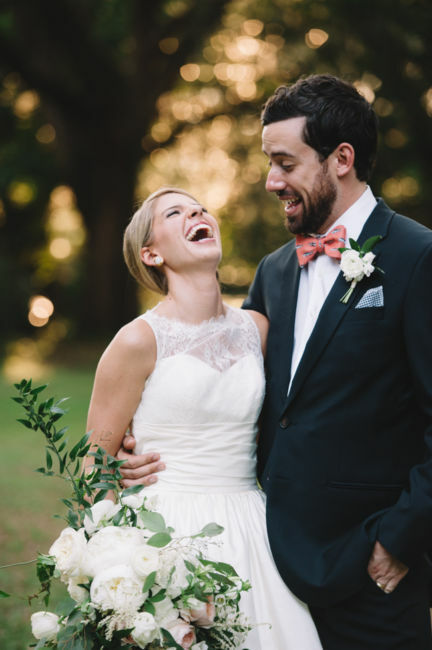 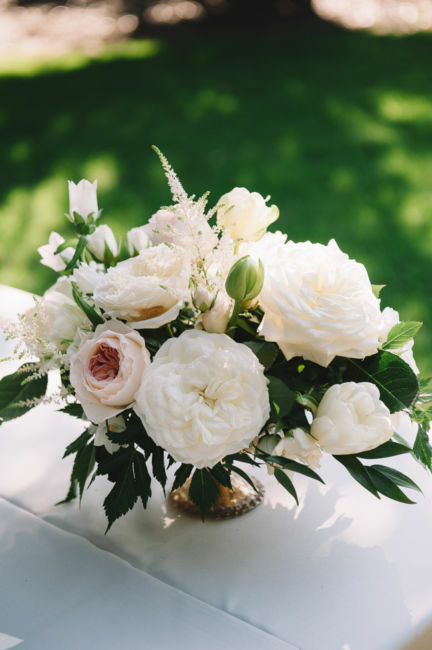 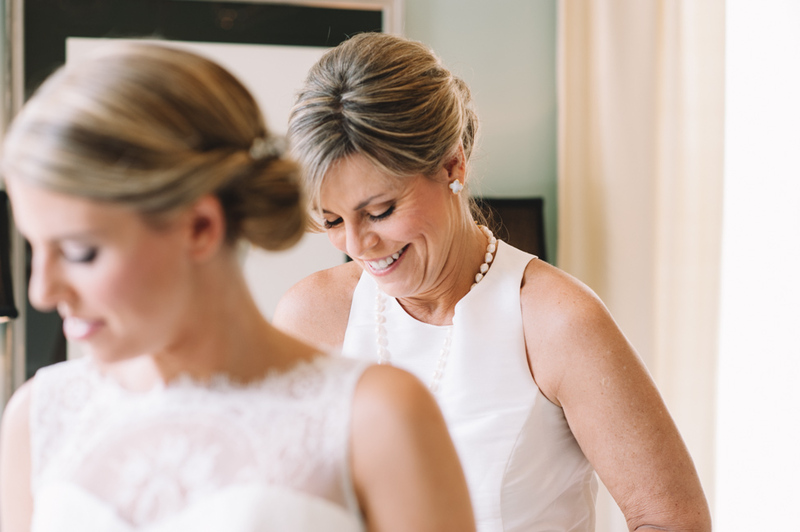 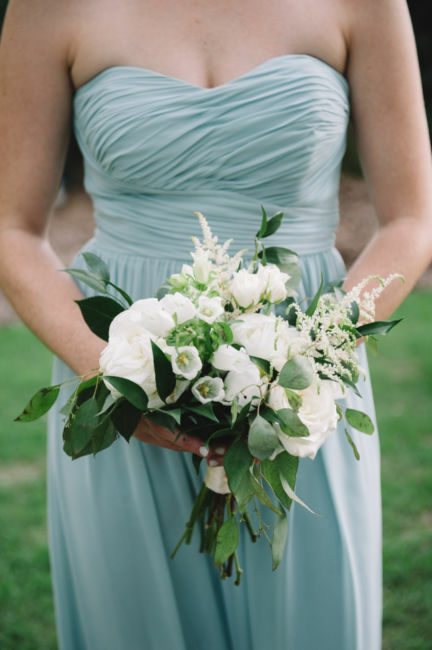 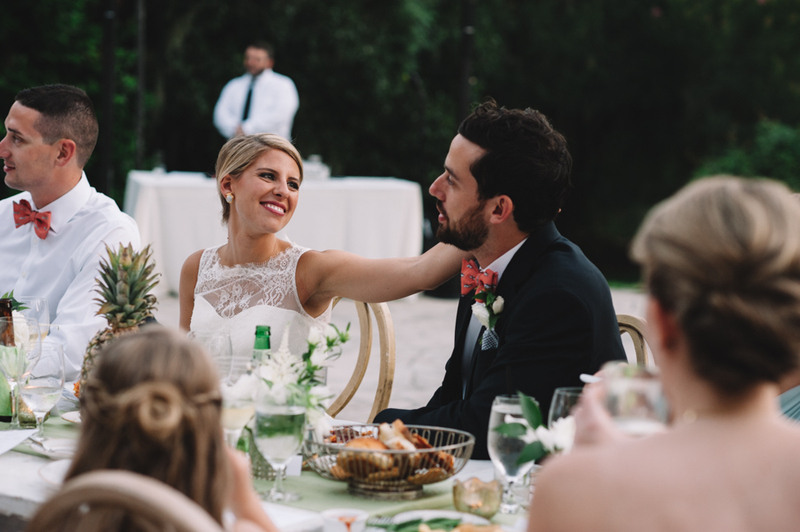 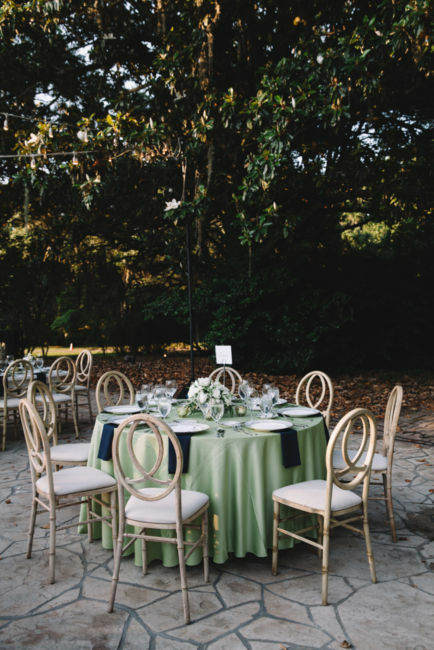 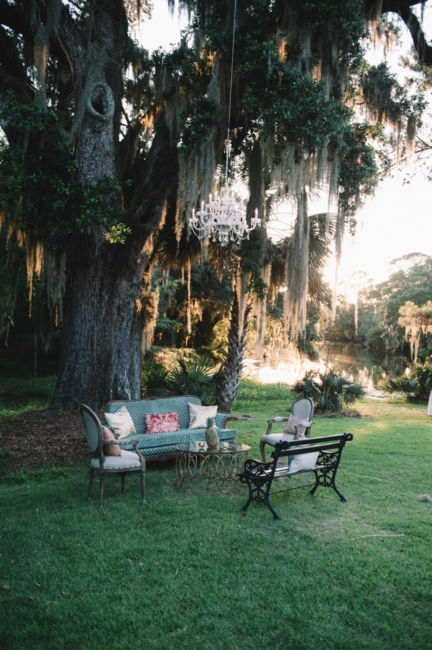 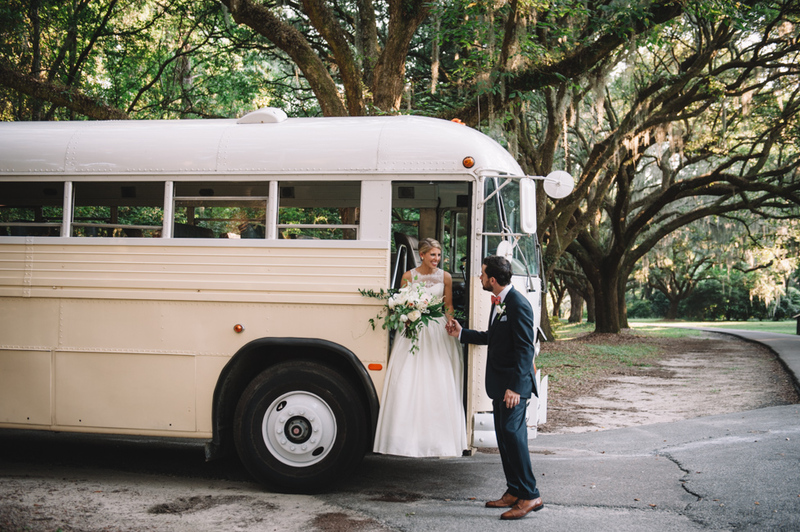 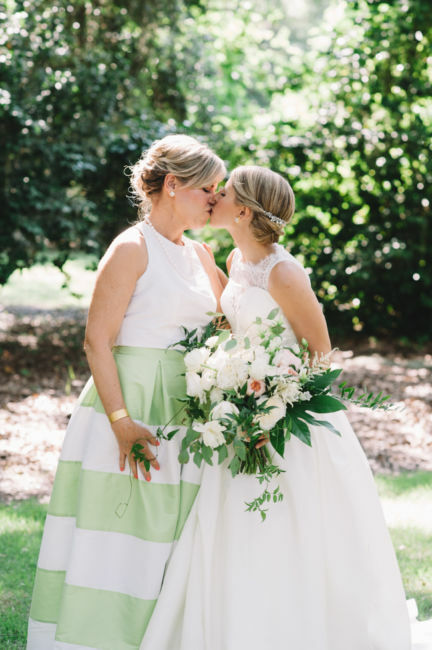 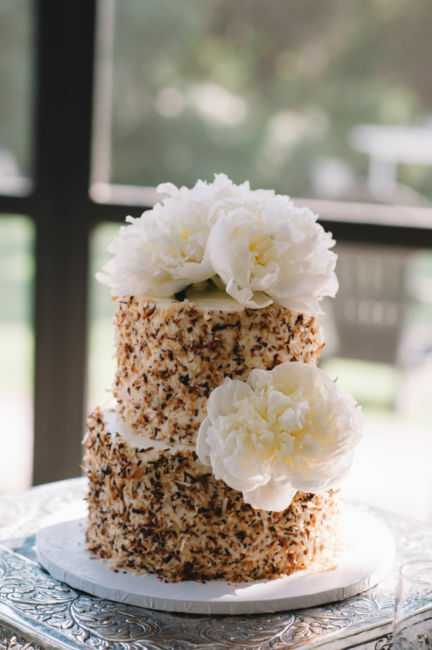 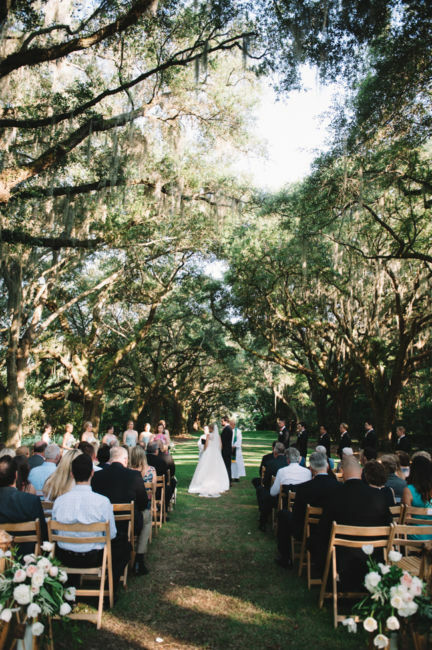 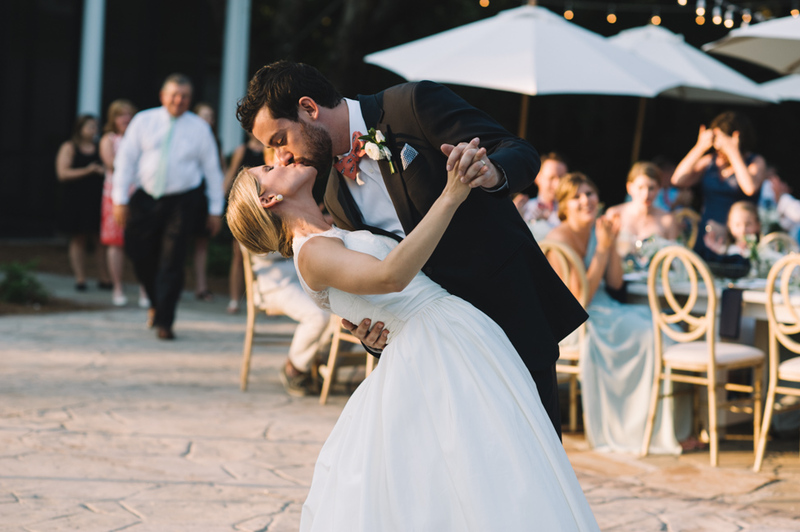 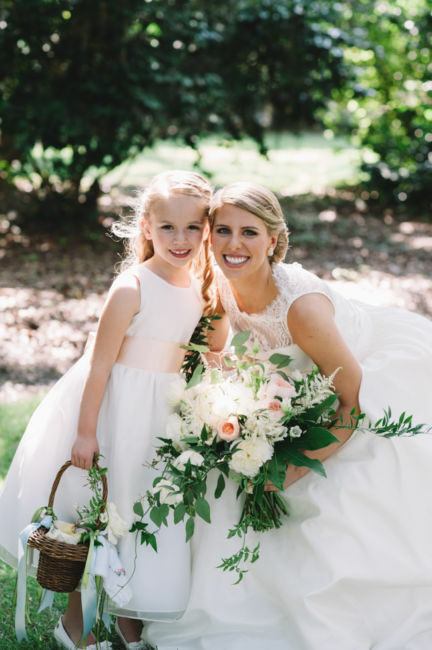 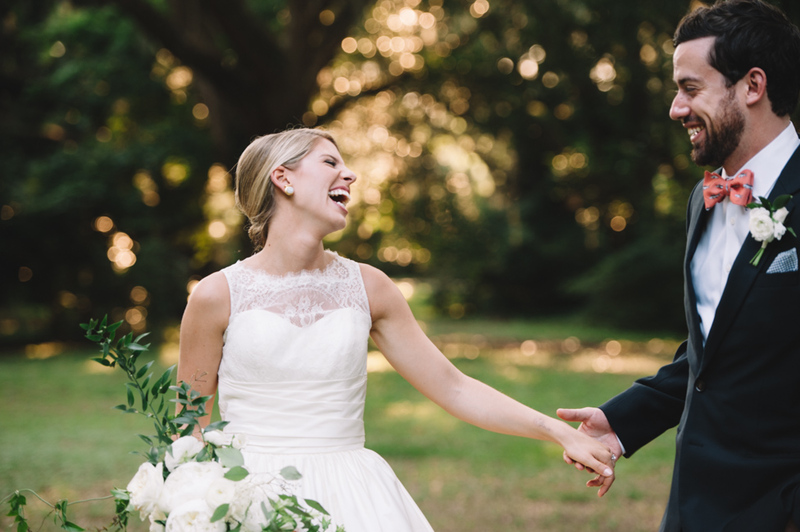 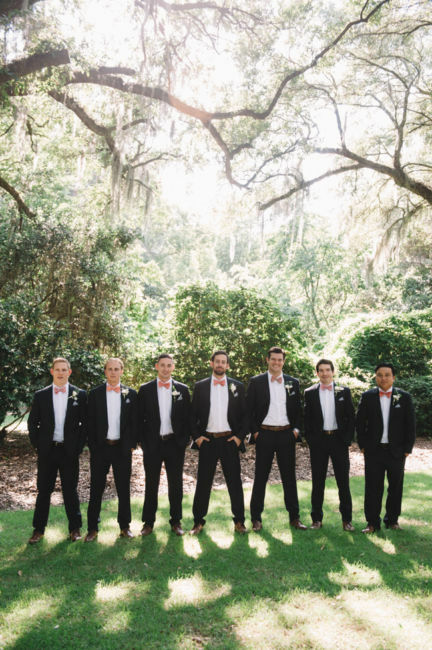 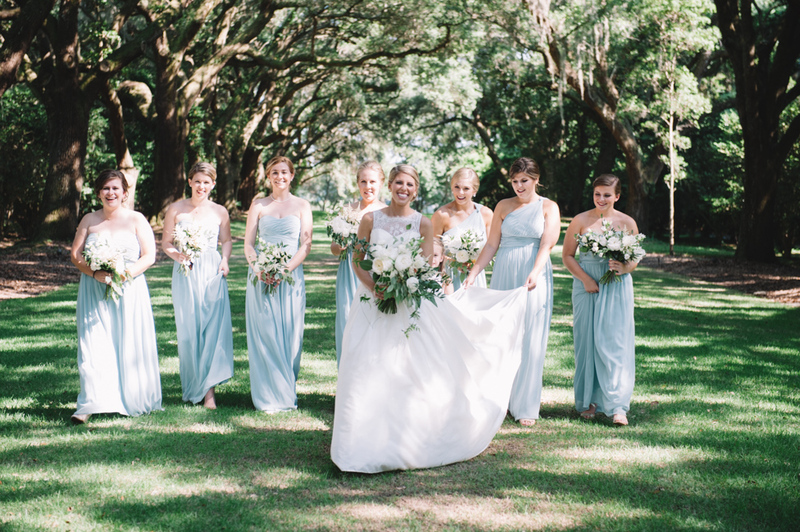 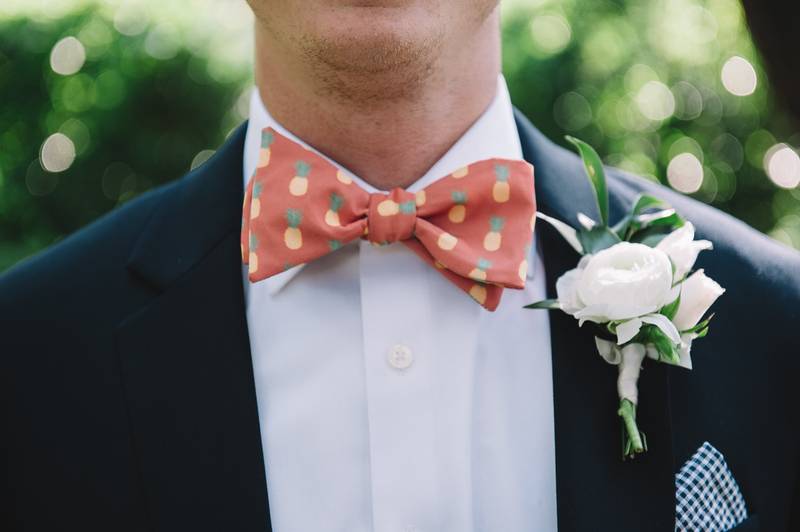 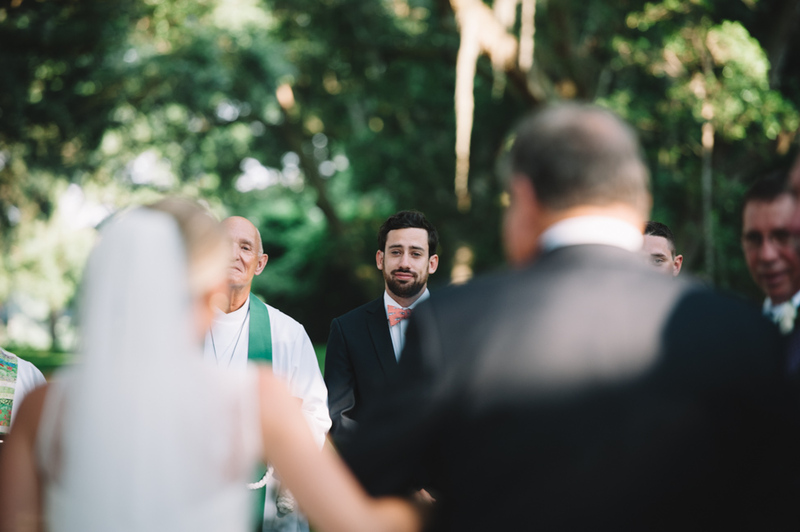 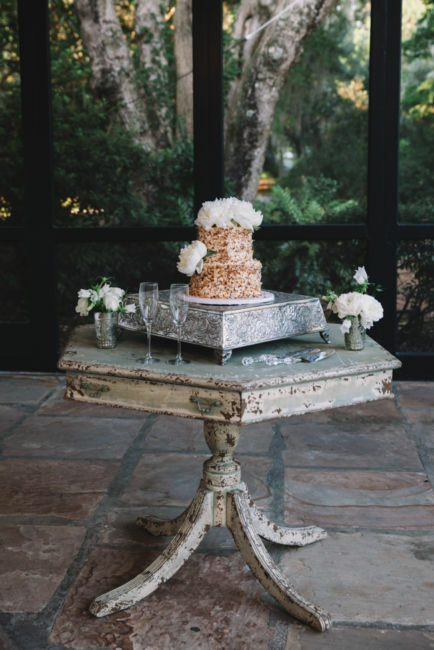 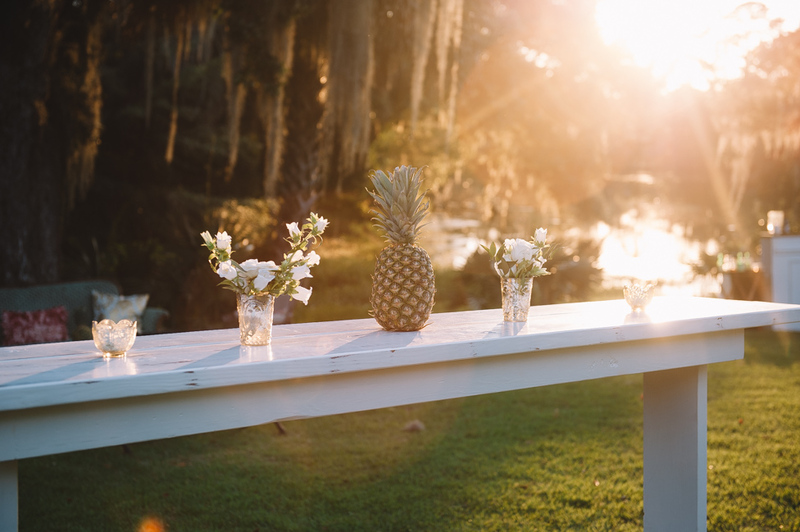 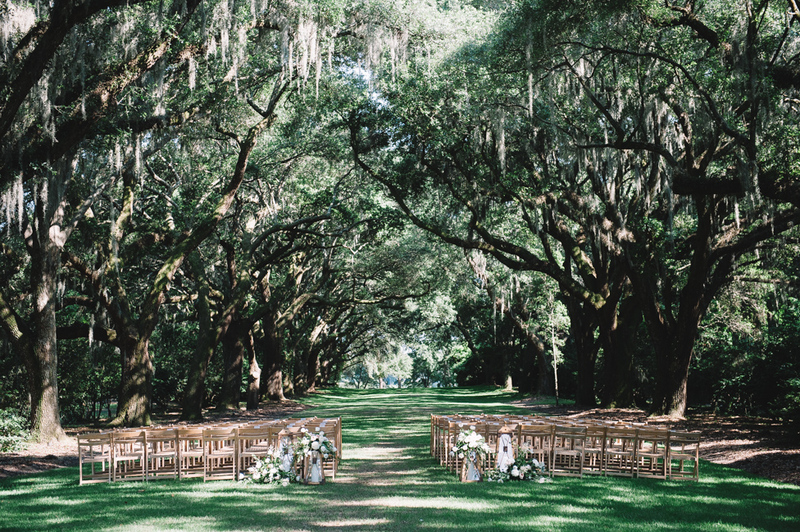 Kristen and Rick had the perfect summer affair full of pineapple center pieces, coconut cake, and the sweetest ceremony along the Avenue of the Oaks at Legare Waring House, with the help of Fox Events. 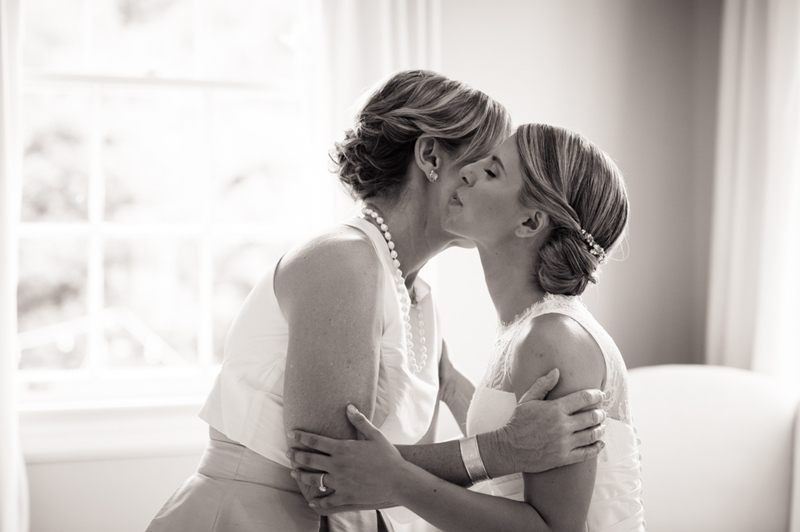 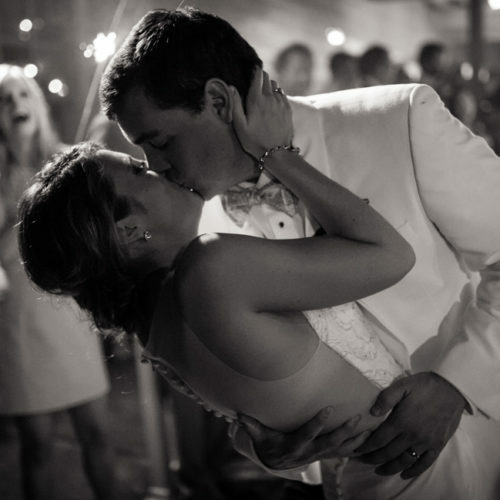 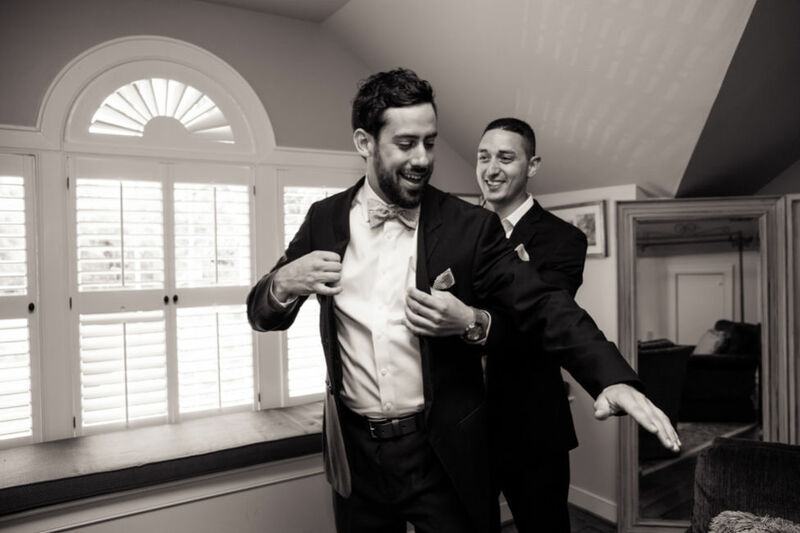 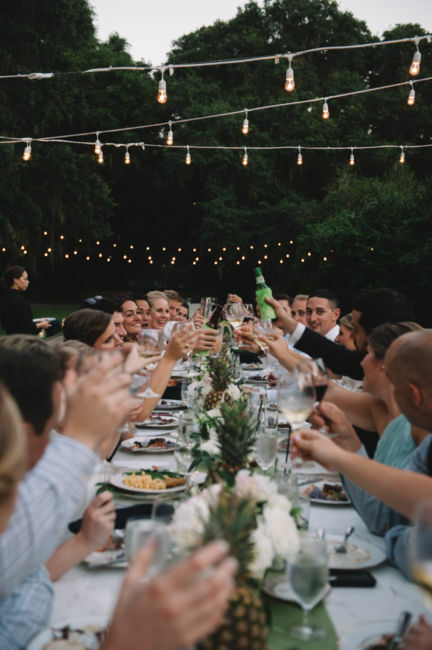 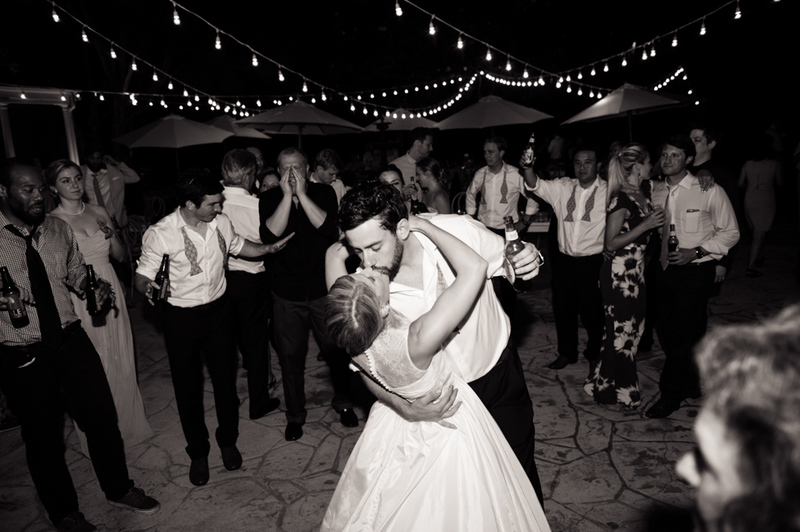 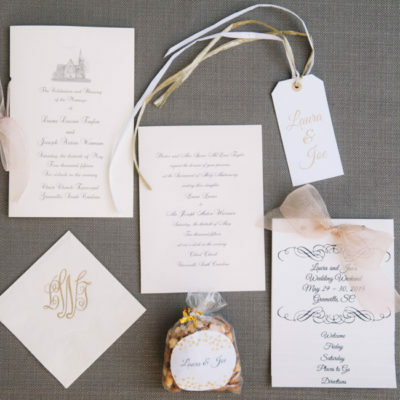 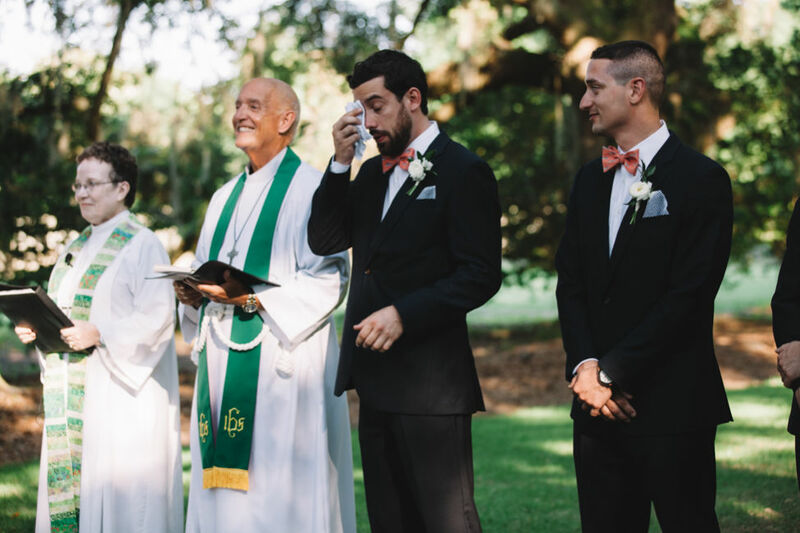 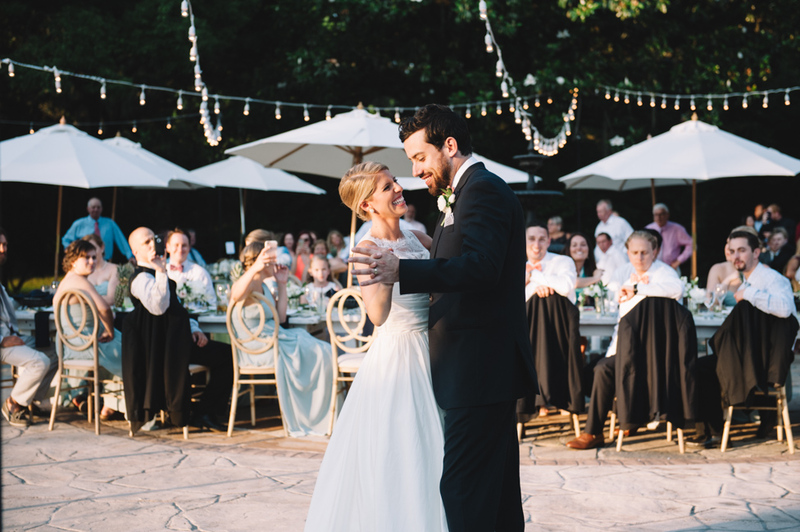 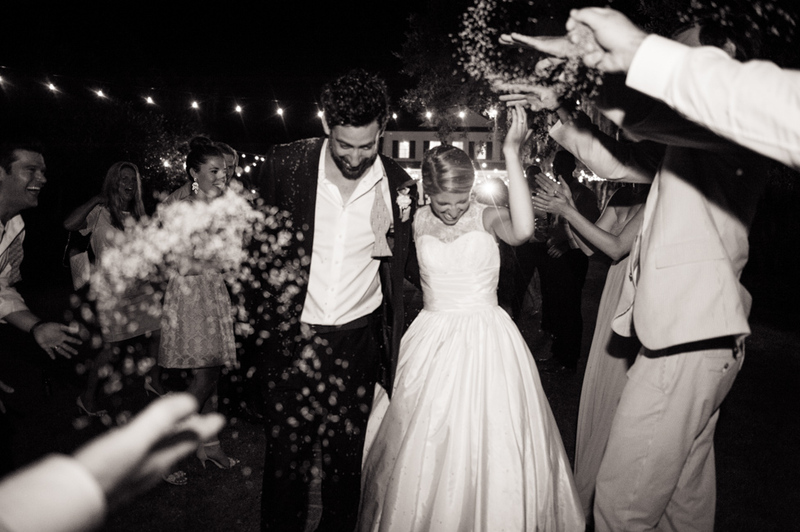 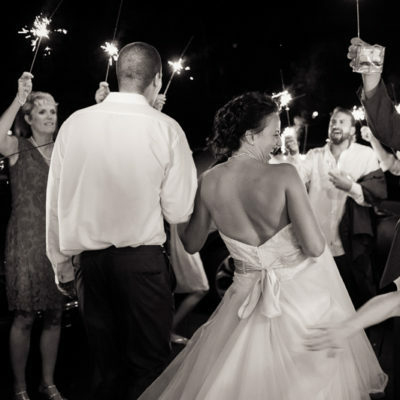 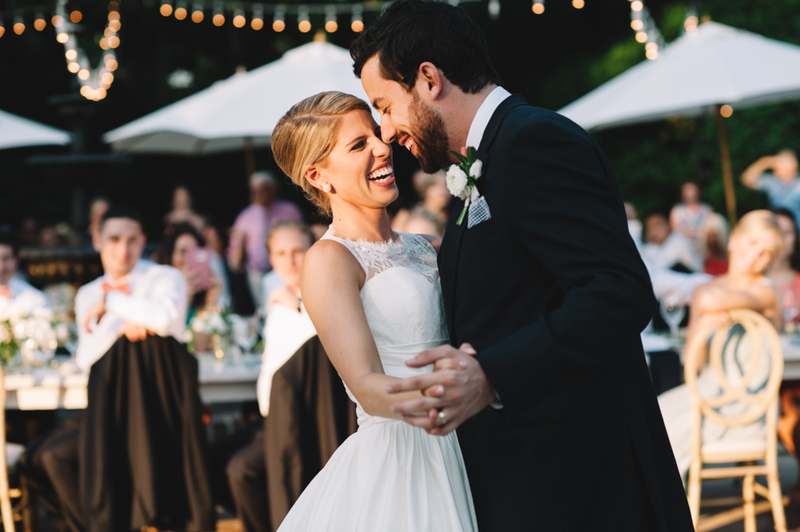 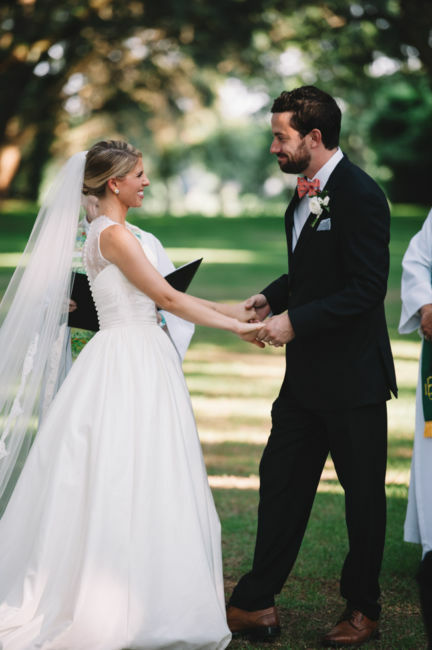 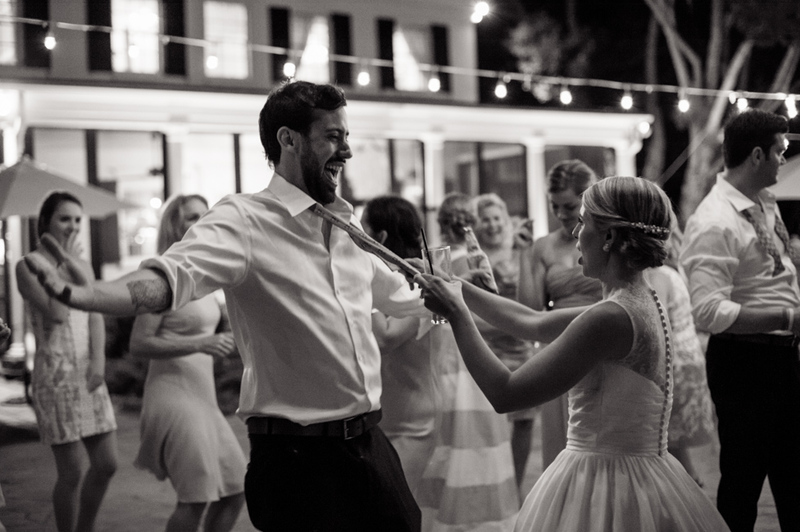 On June 10th, the happy couple said their vows, surrounded by 100 of their closest friends and family. 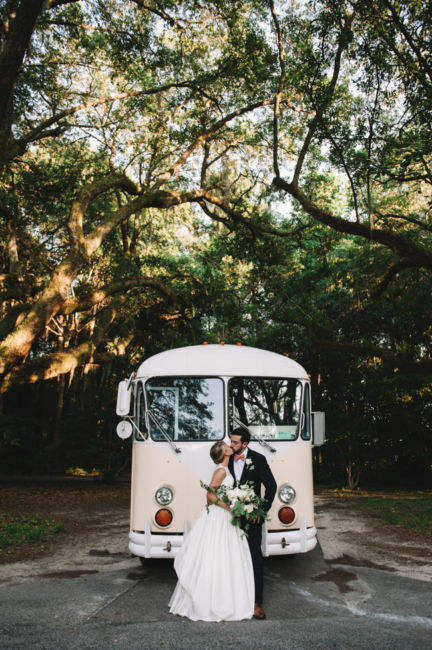 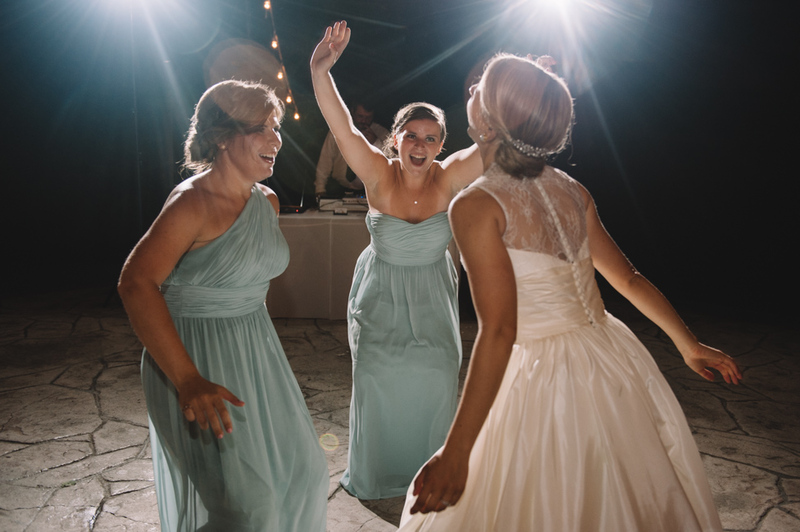 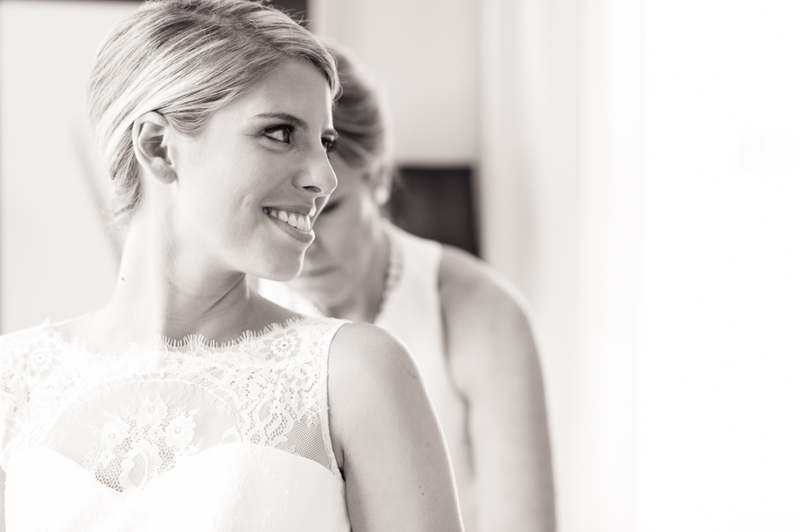 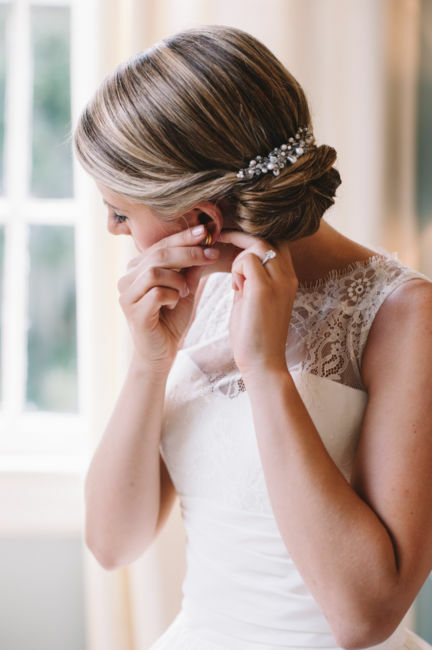 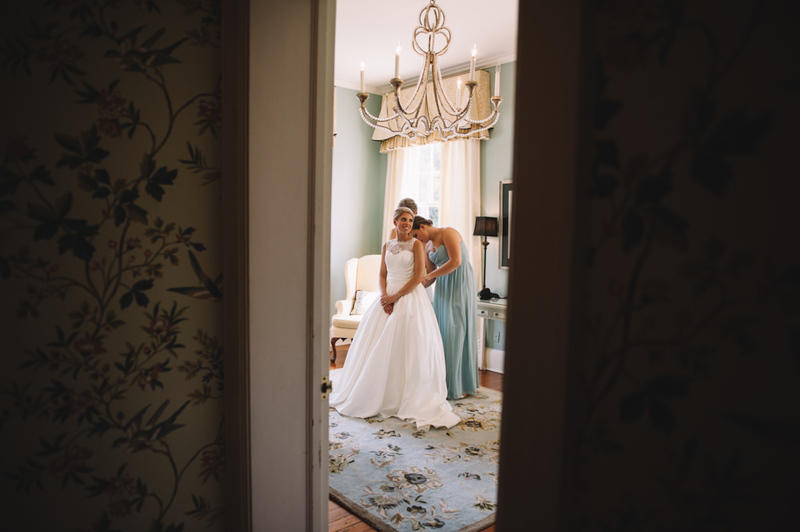 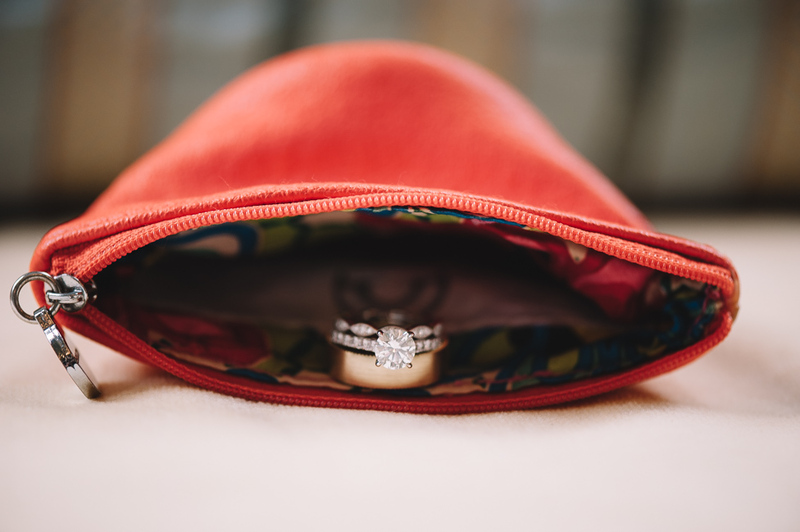 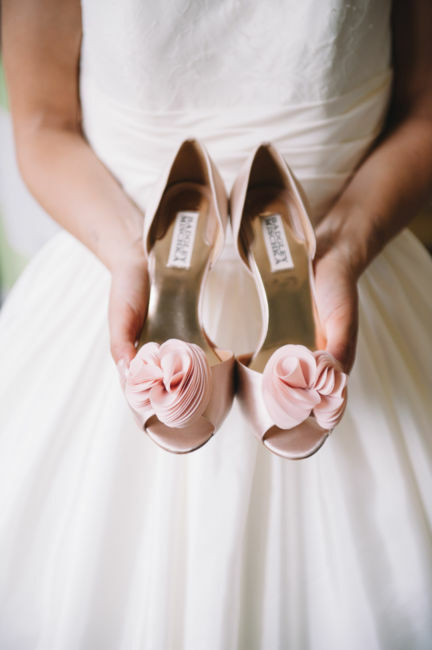 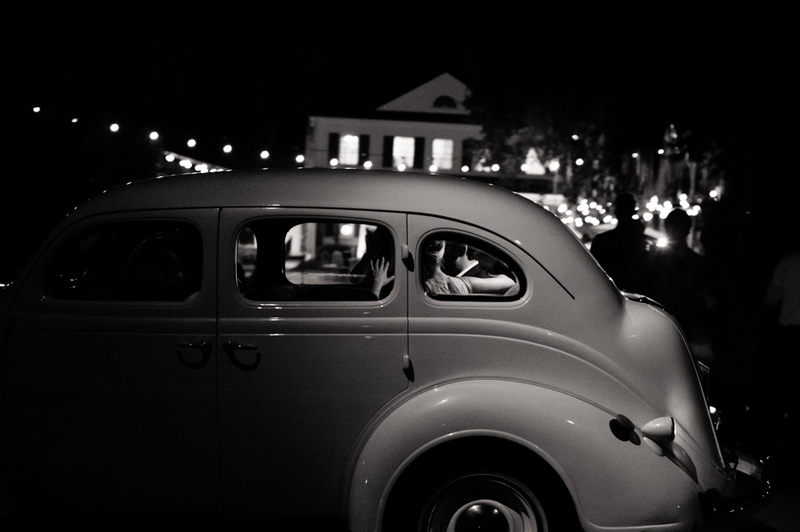 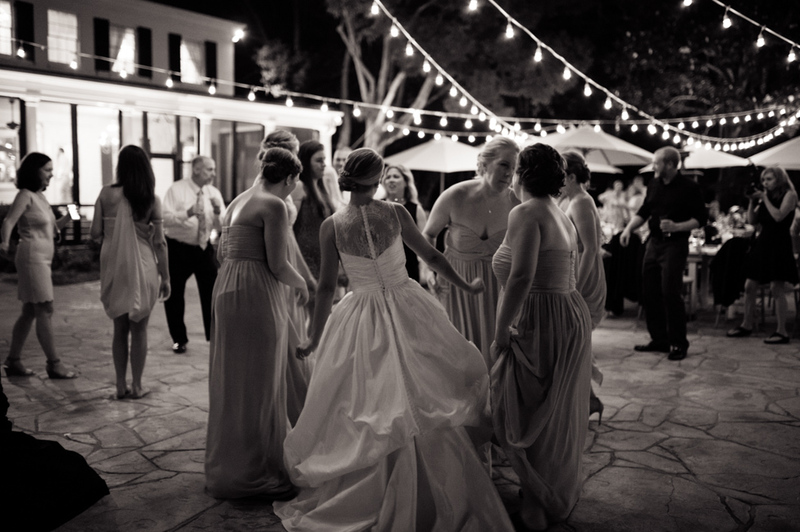 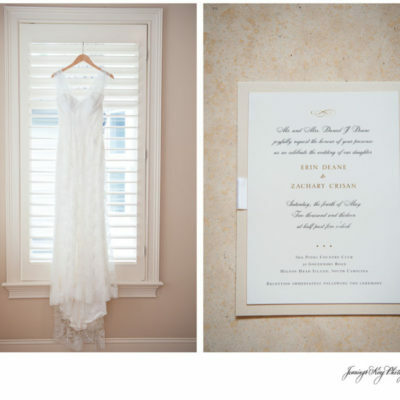 It was very important to Kristen and Rick that their celebration be intimate and their vendors be local. 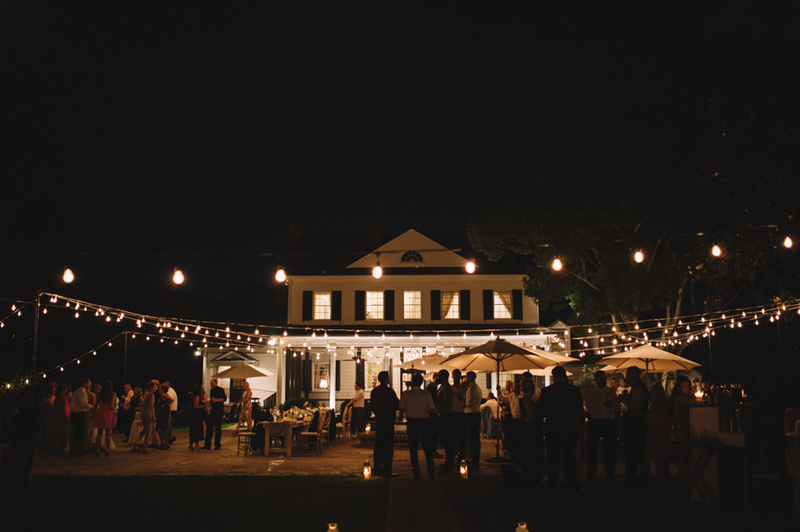 Salt House Catering served dinner to the guests in front of the plantation house underneath cafe lights and umbrellas. 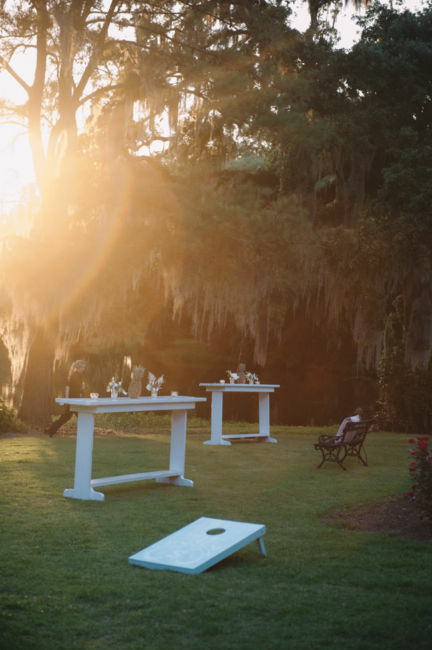 Ice Box offered local beers such as Palmetto Brewing and Striped Pig. 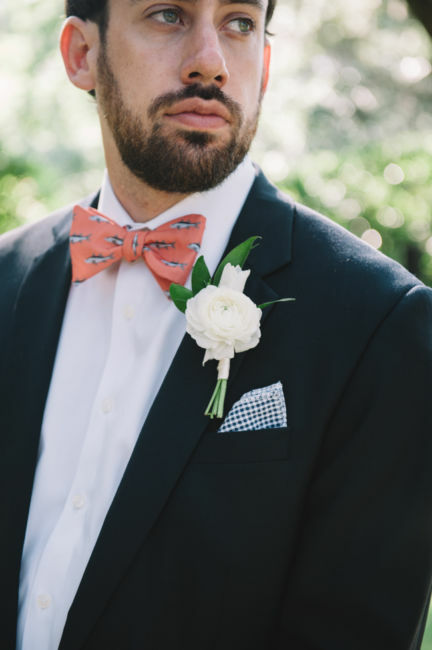 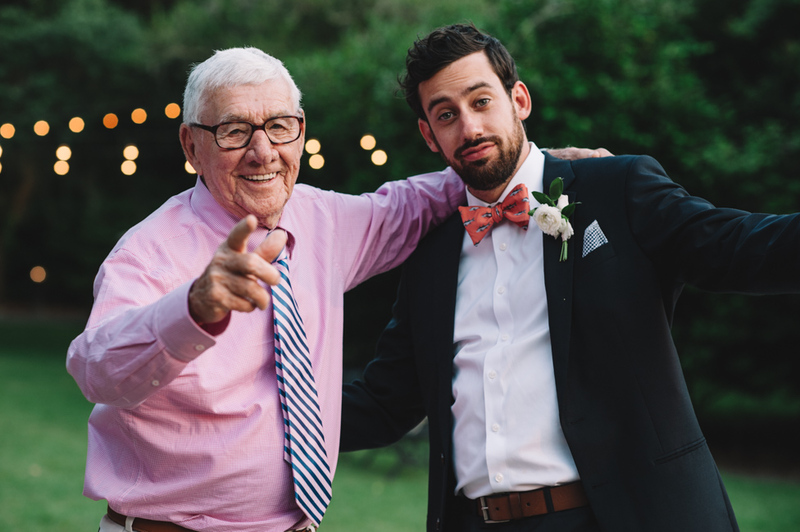 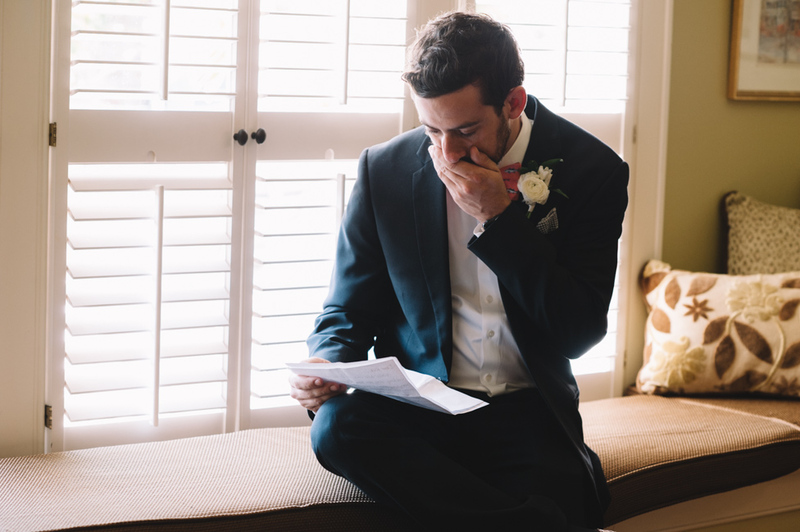 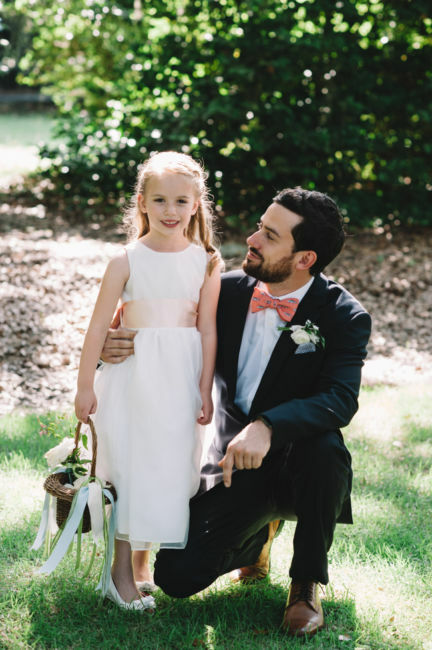 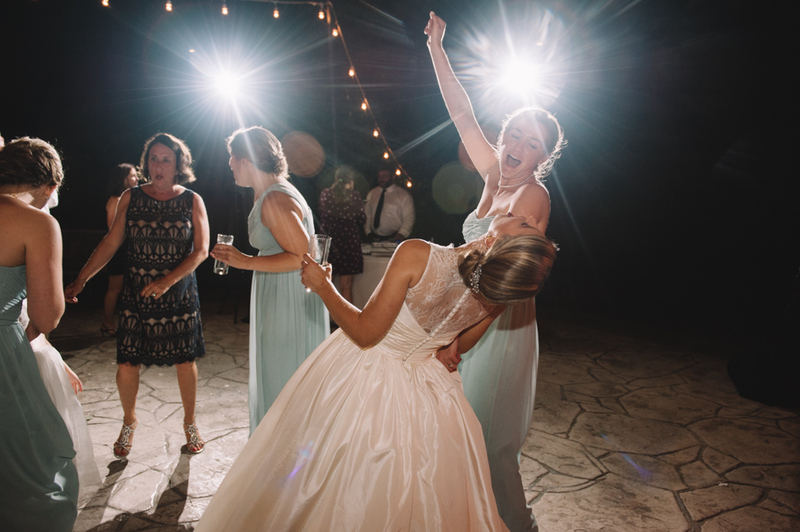 One of my favorite moments of the wedding? 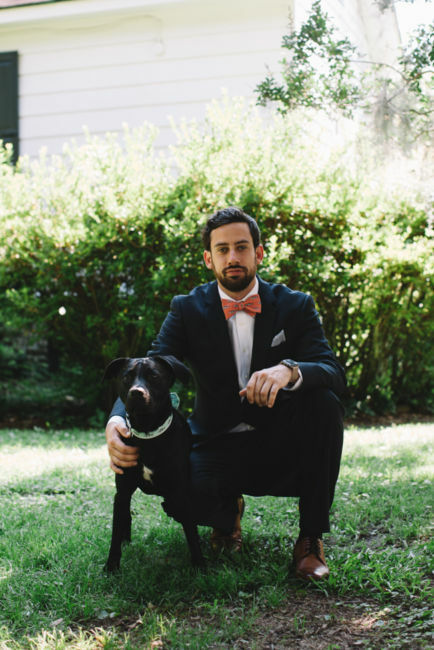 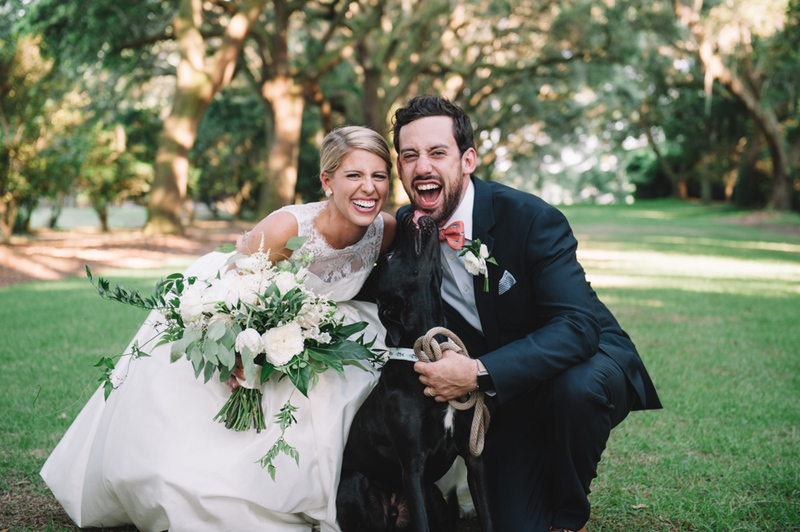 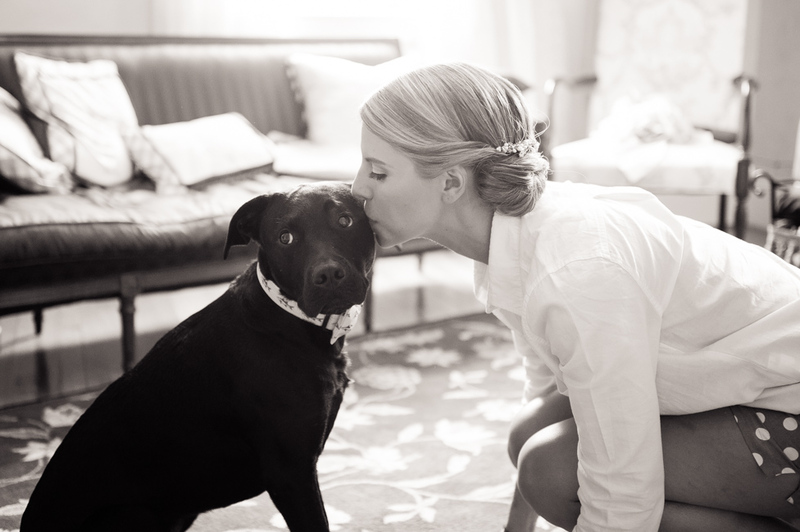 Capturing the bride and groom with their dog Mason! 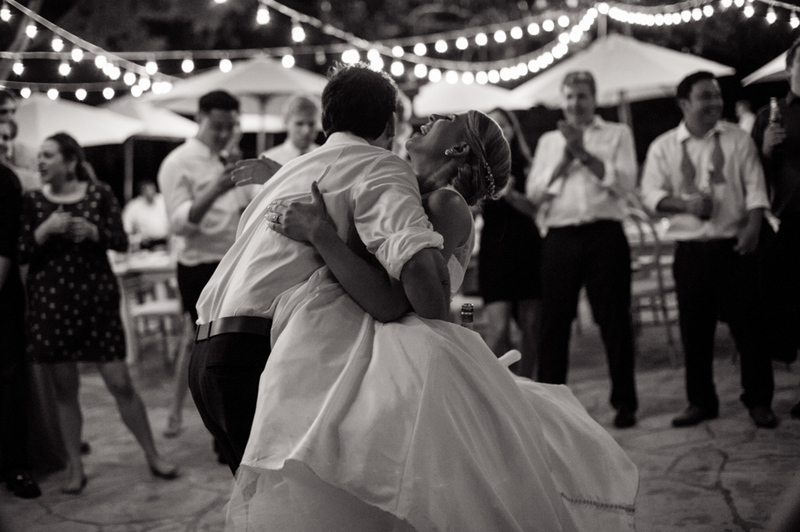 It was a moment of true happy expressions on their faces. 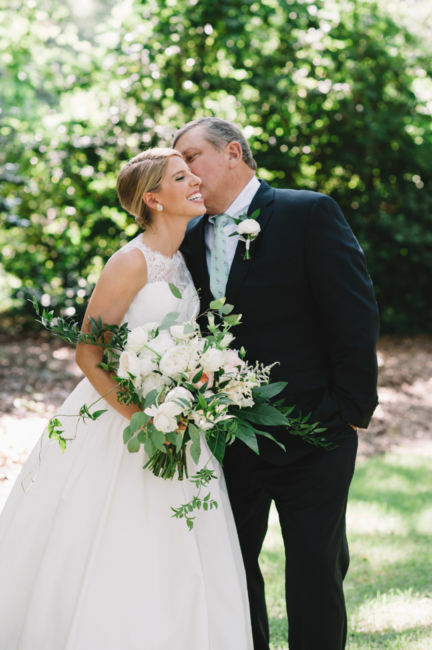 Thank you Kristen and Rick for letting me be a part of your wedding day!